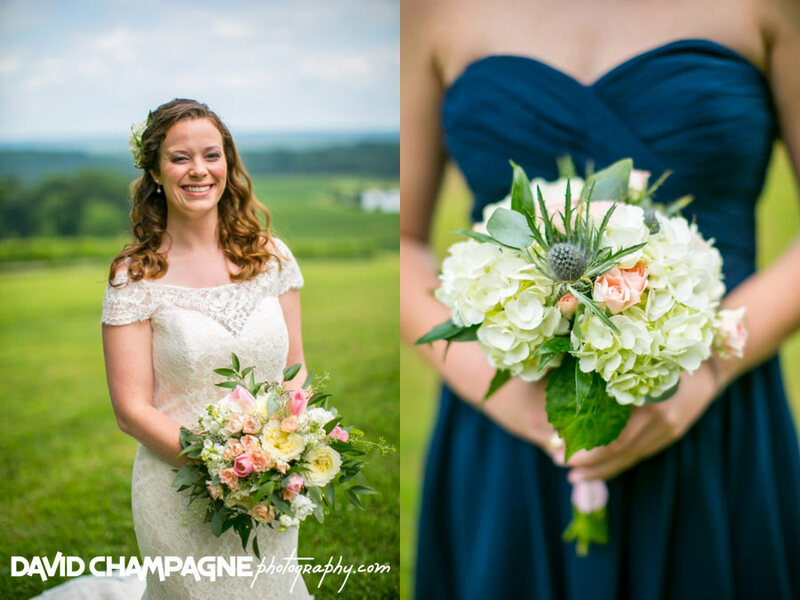 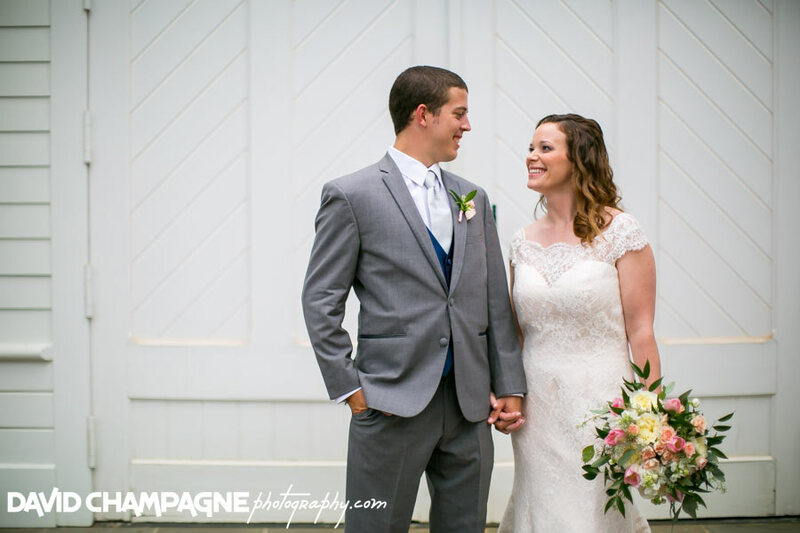 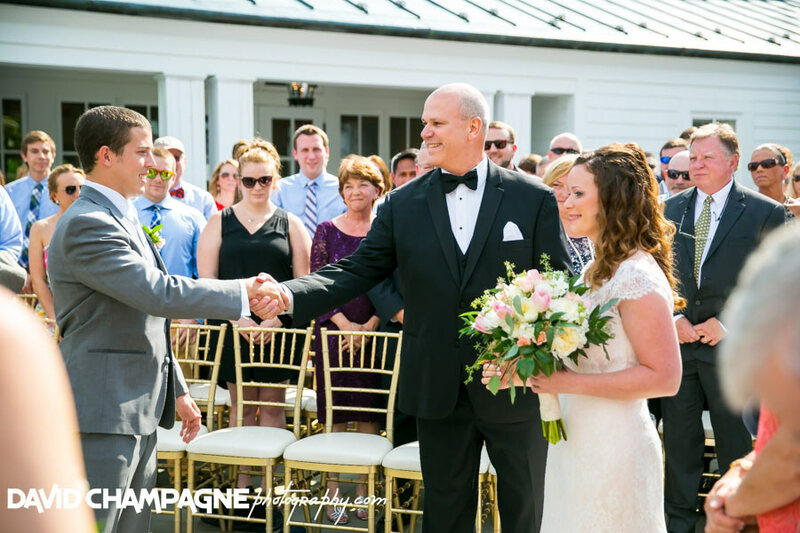 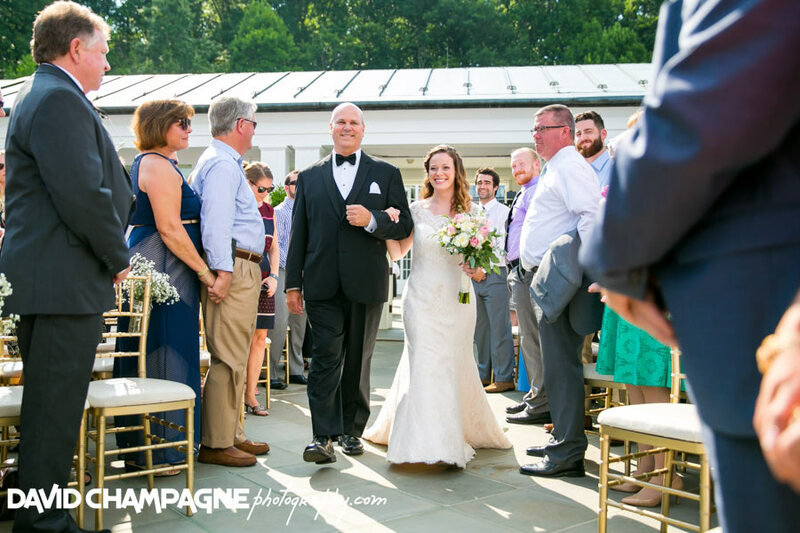 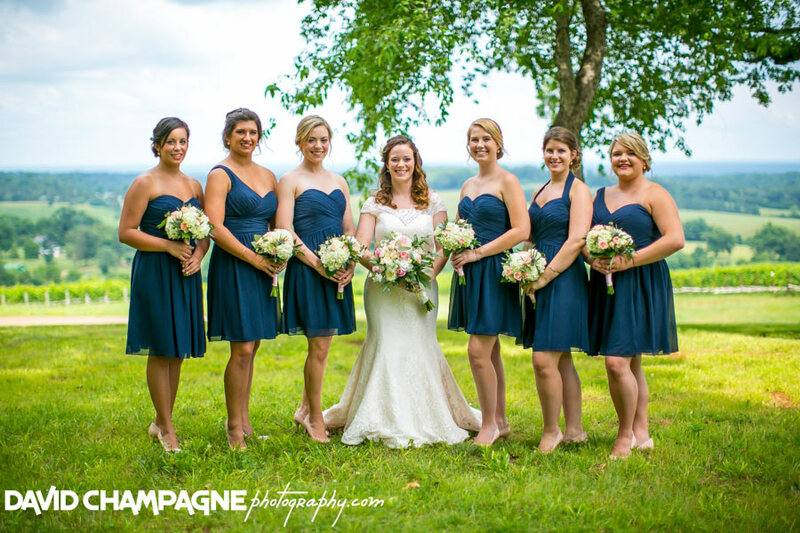 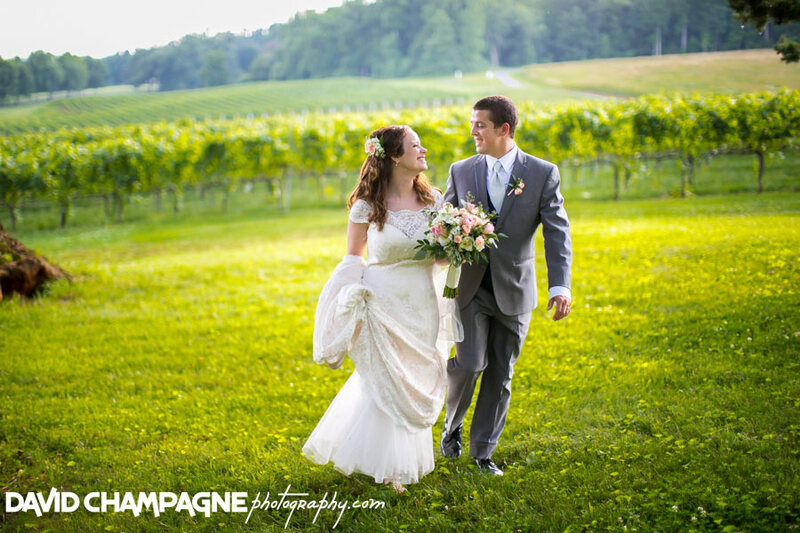 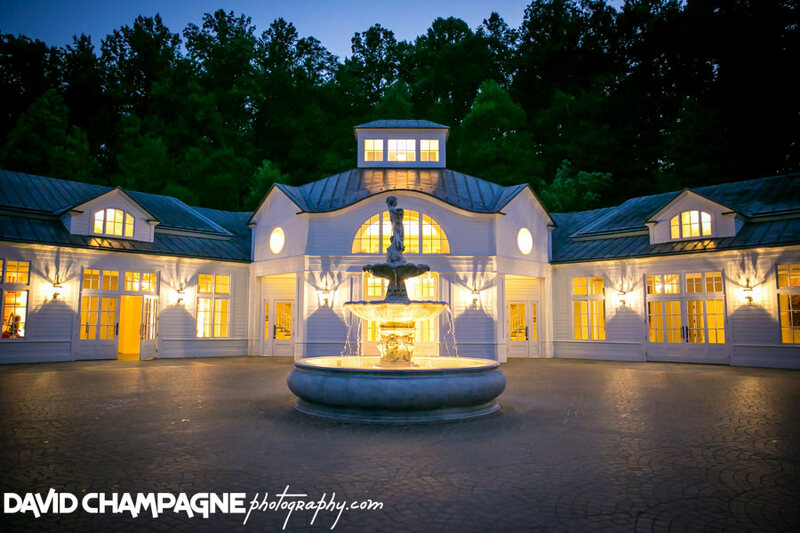 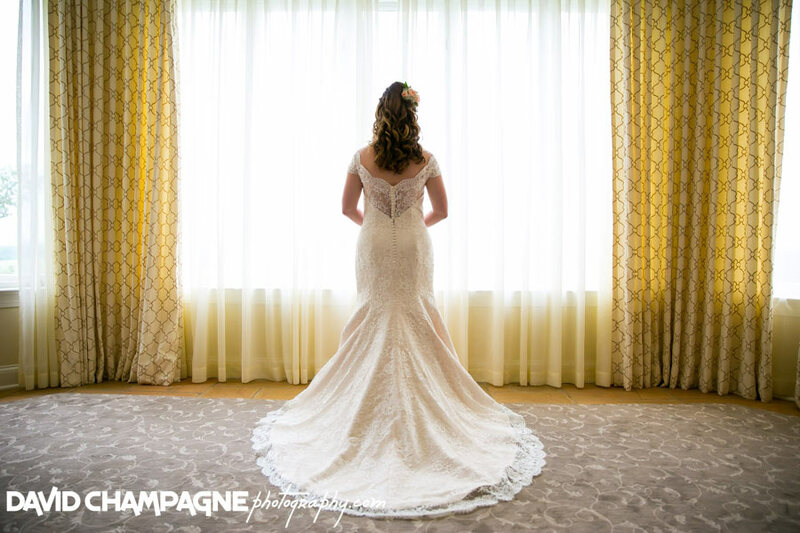 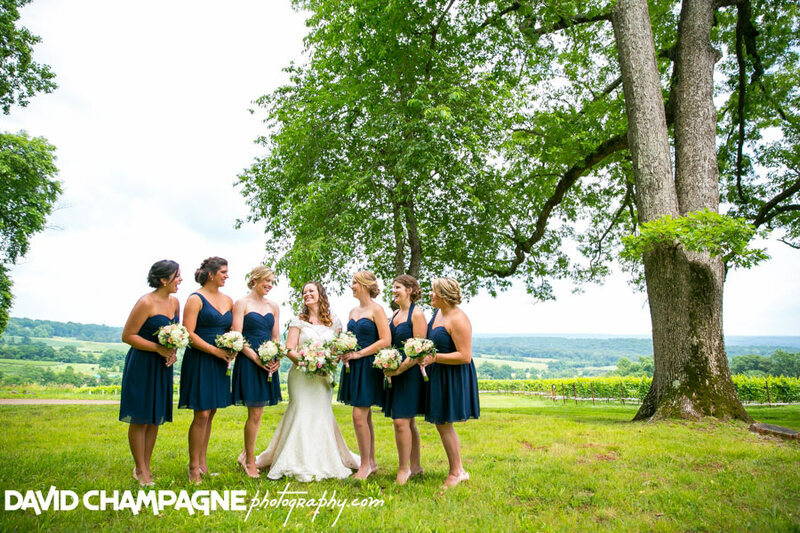 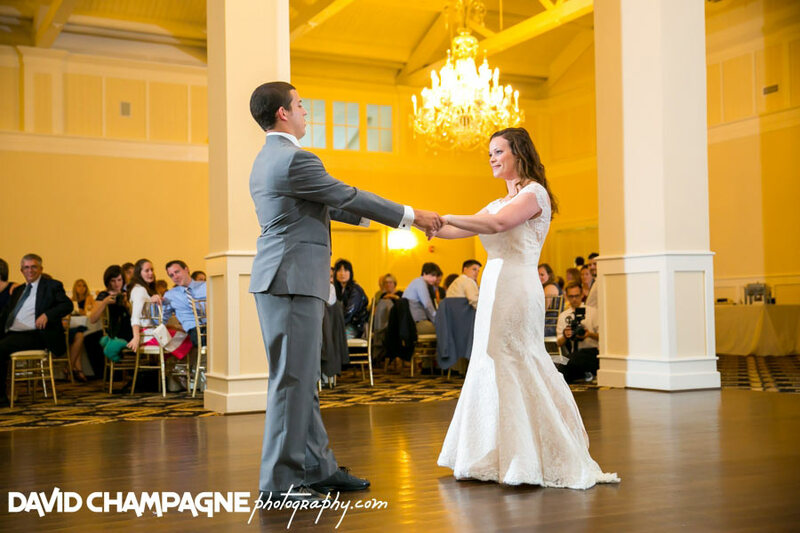 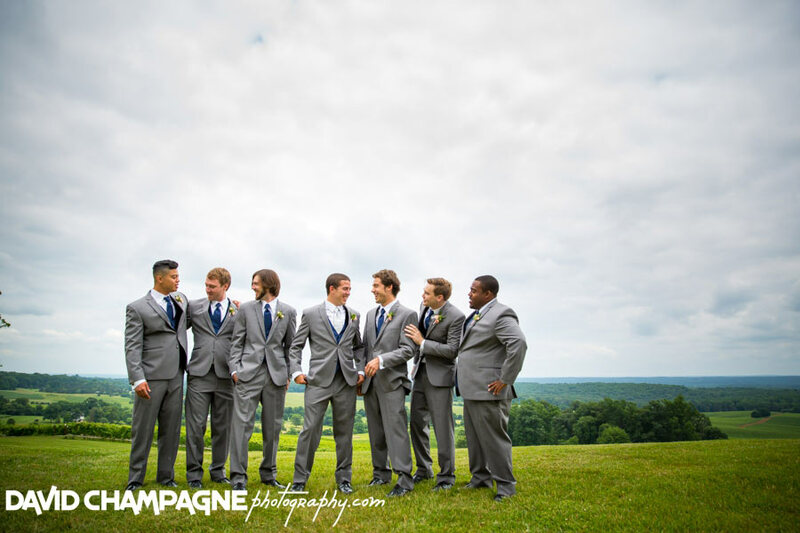 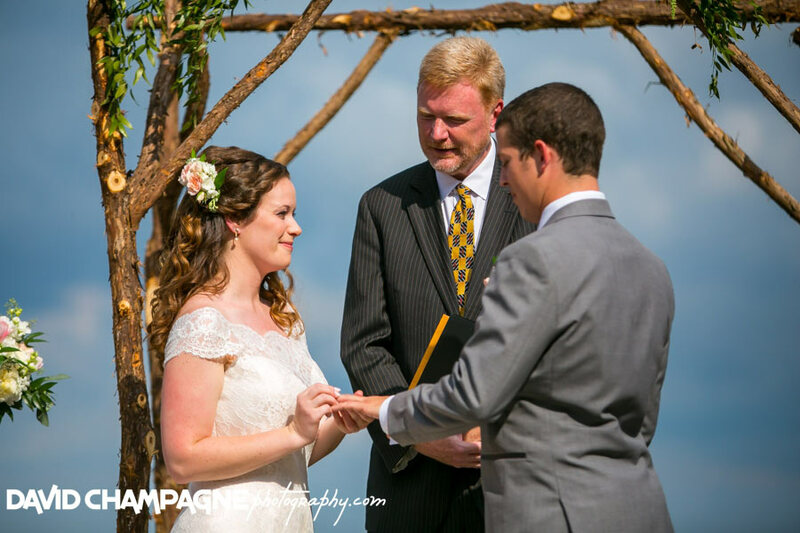 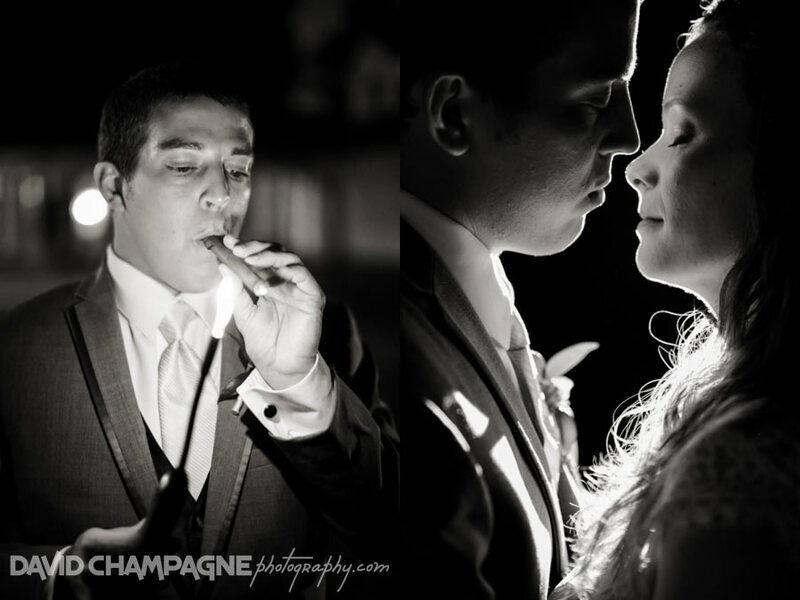 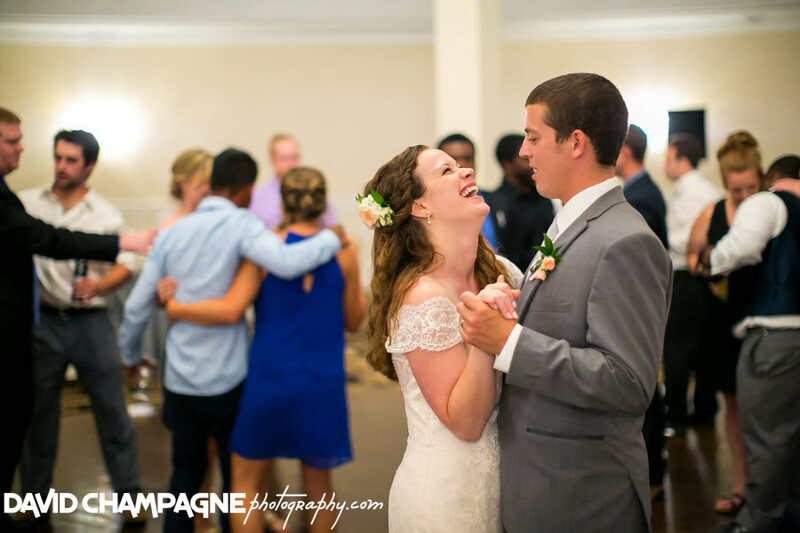 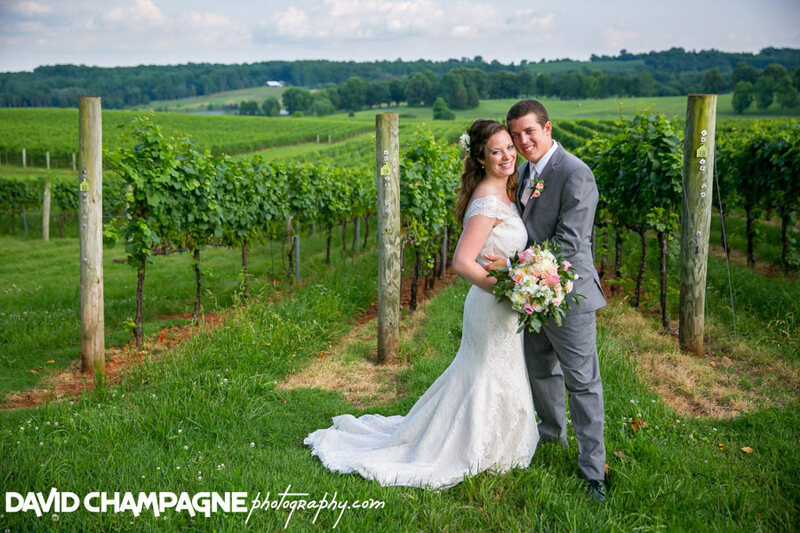 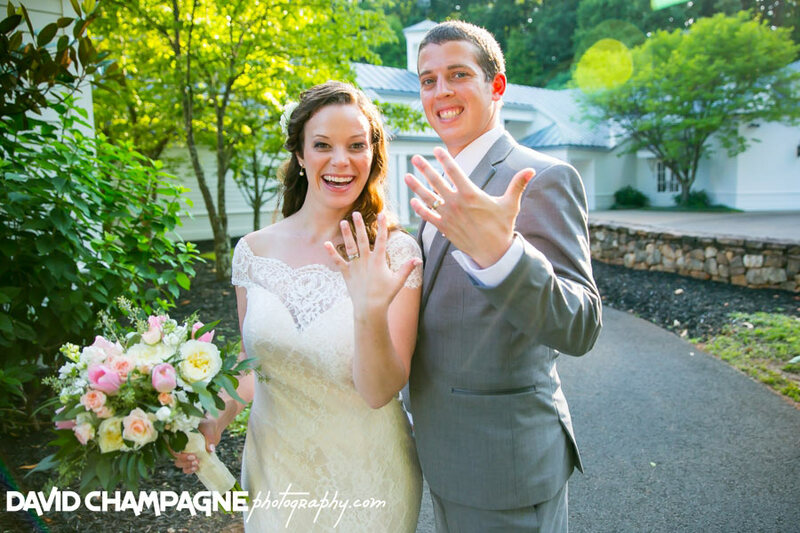 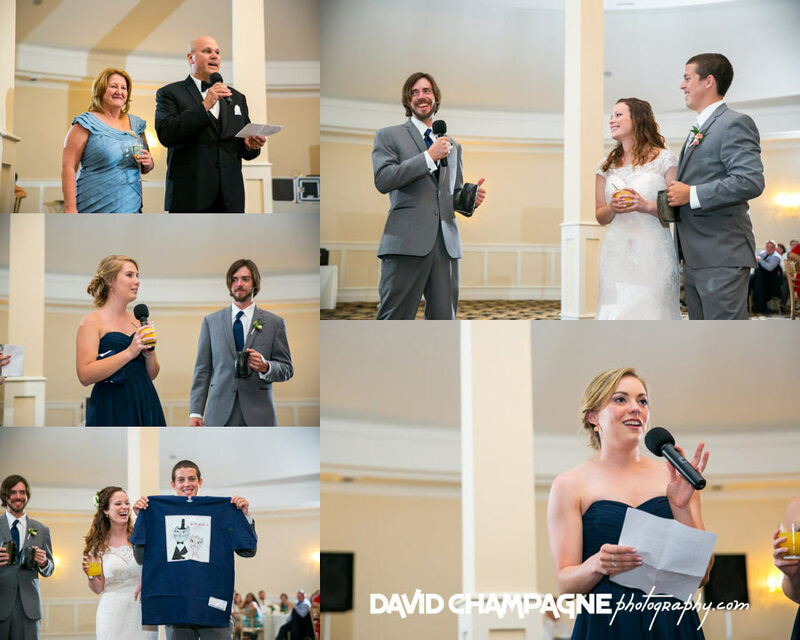 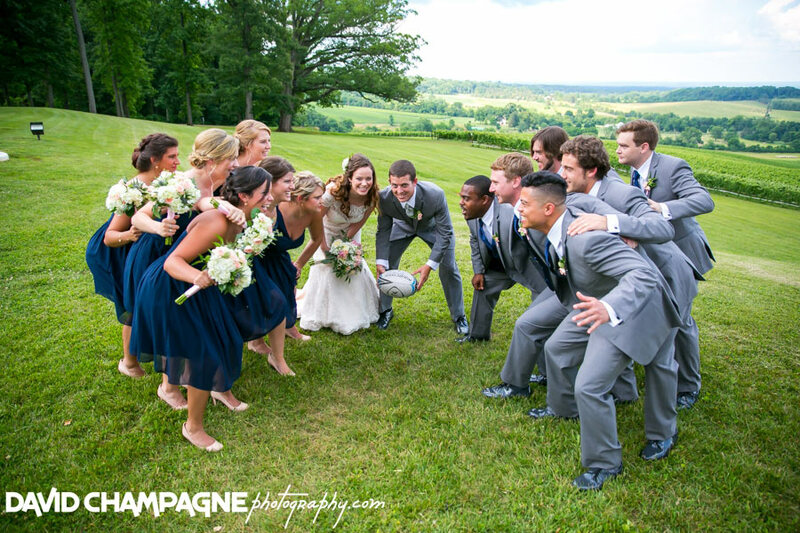 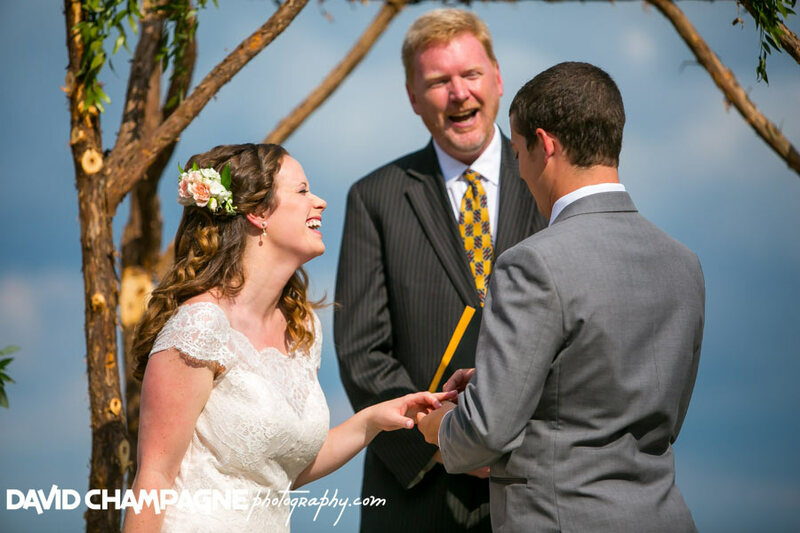 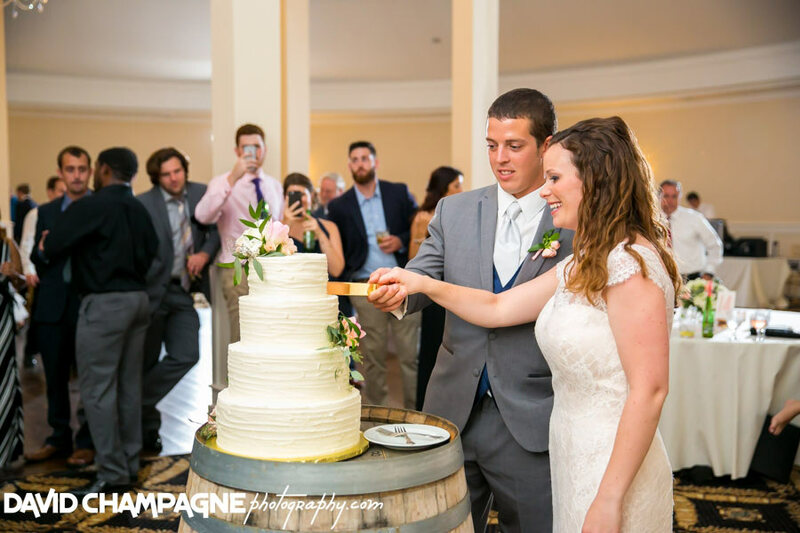 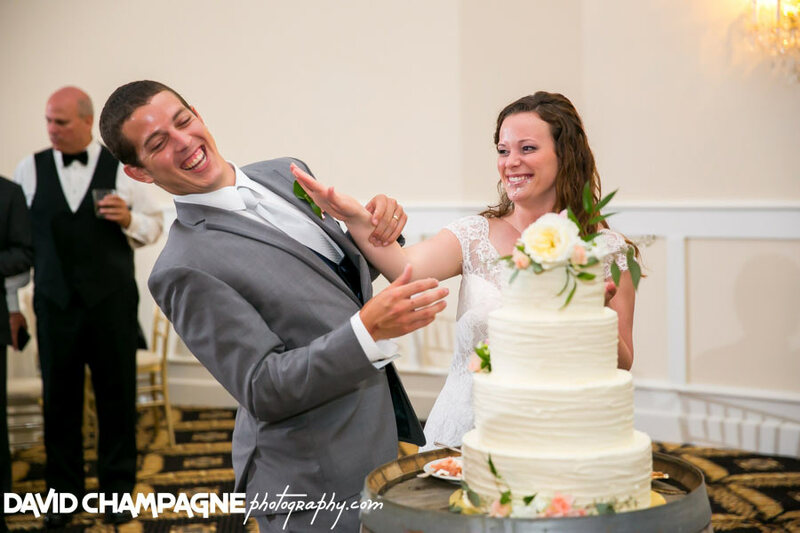 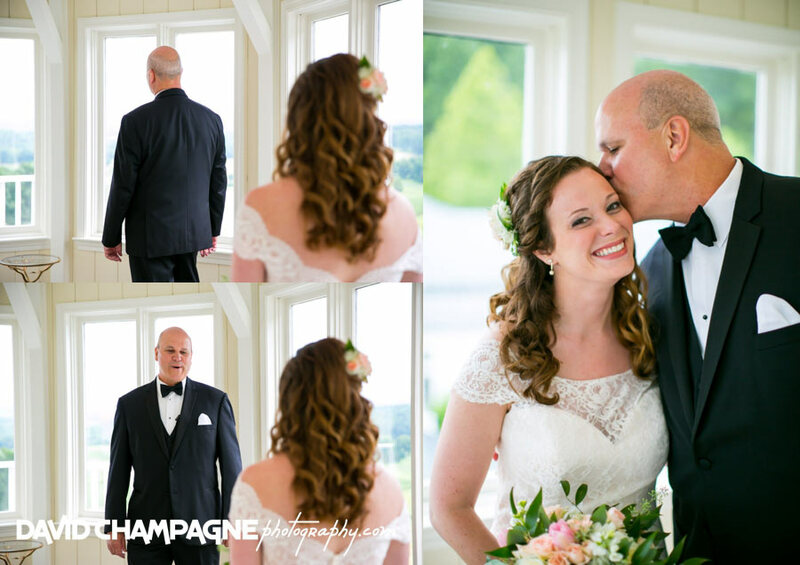 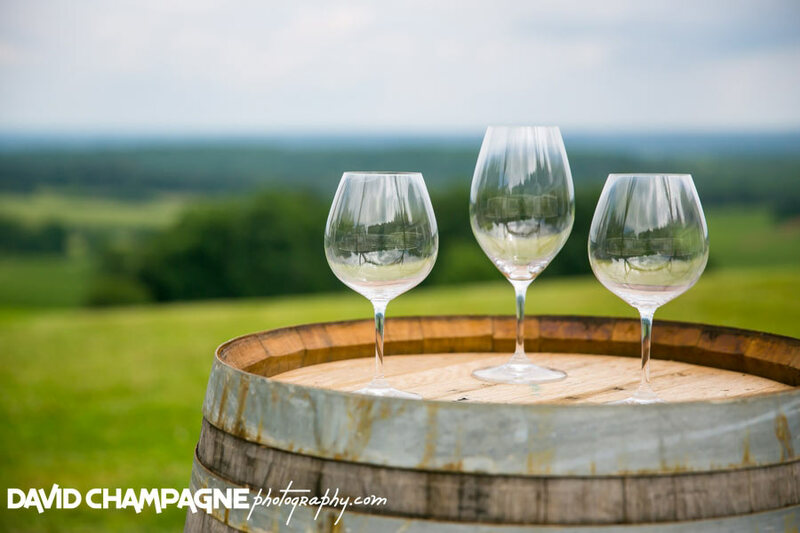 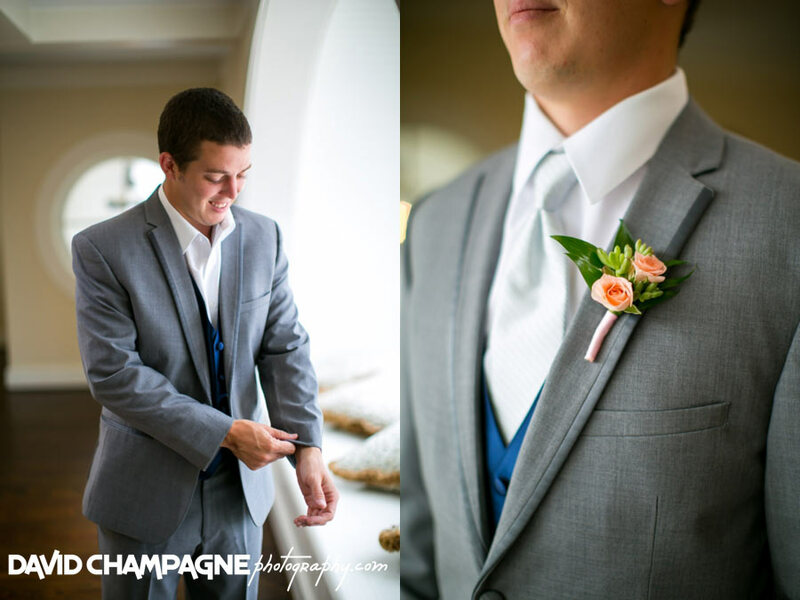 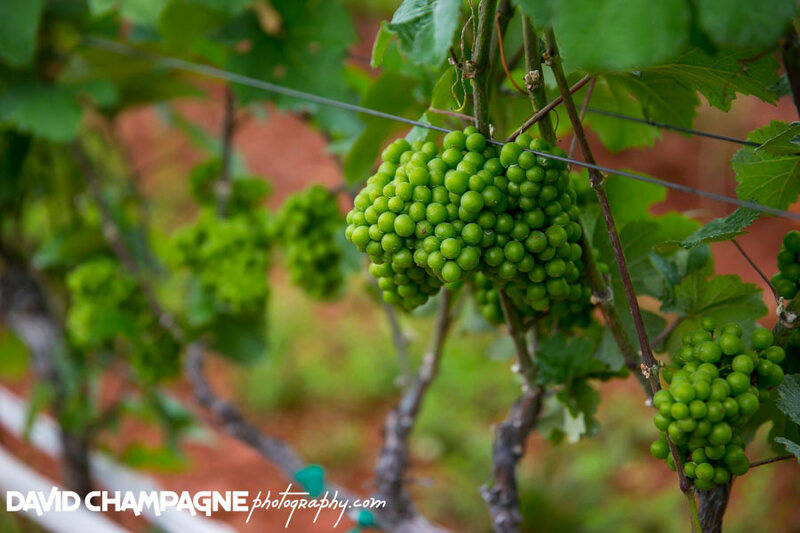 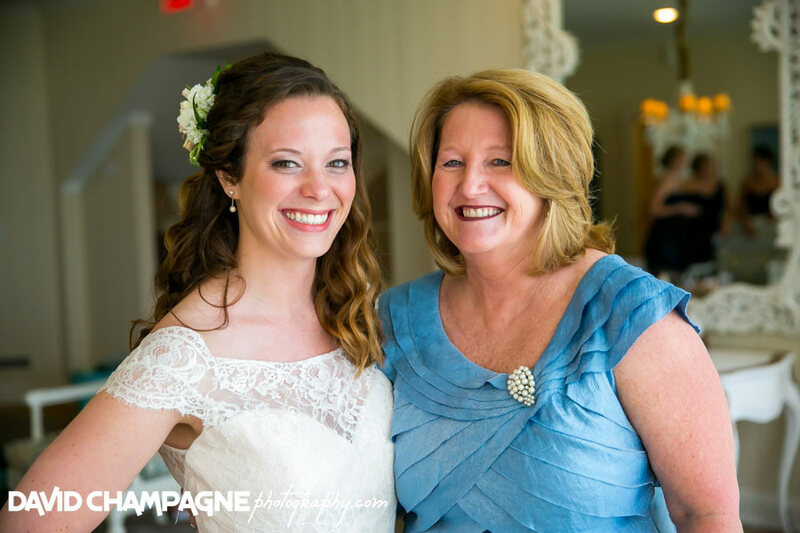 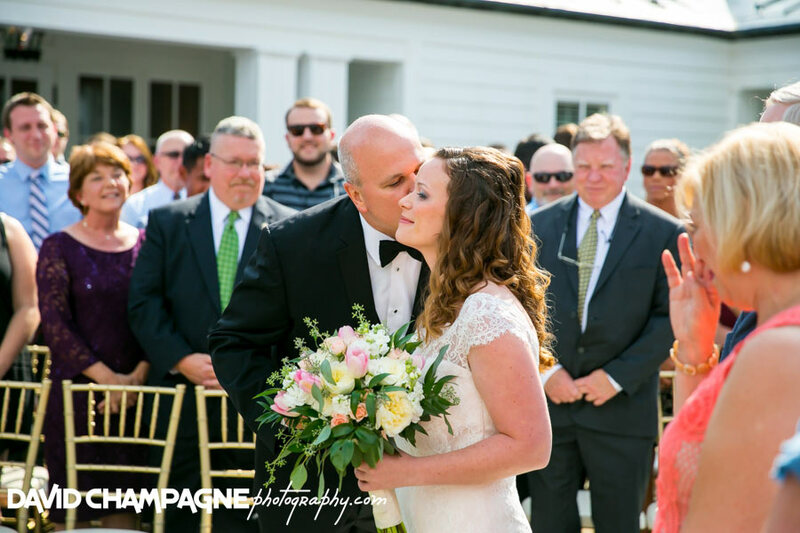 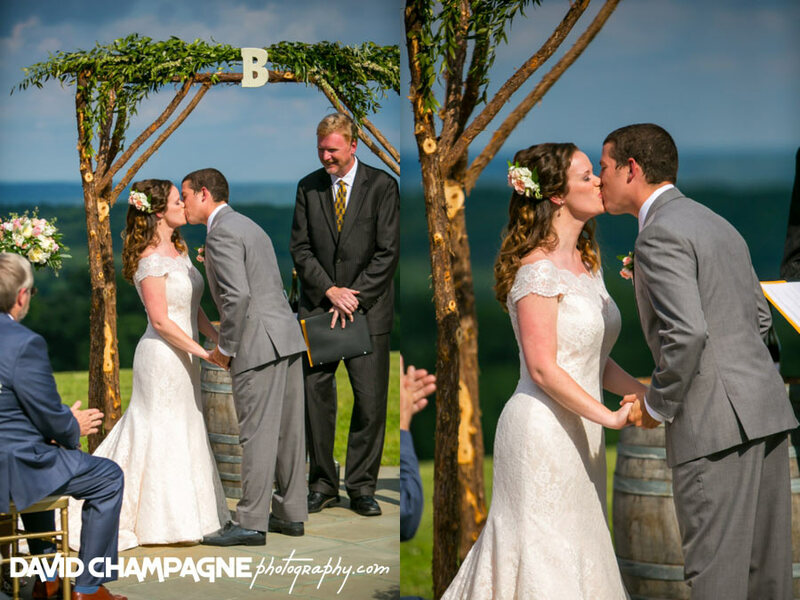 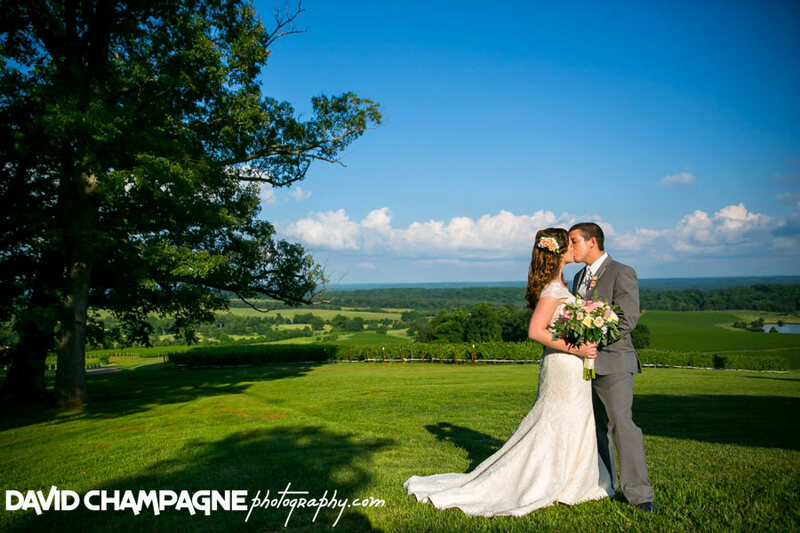 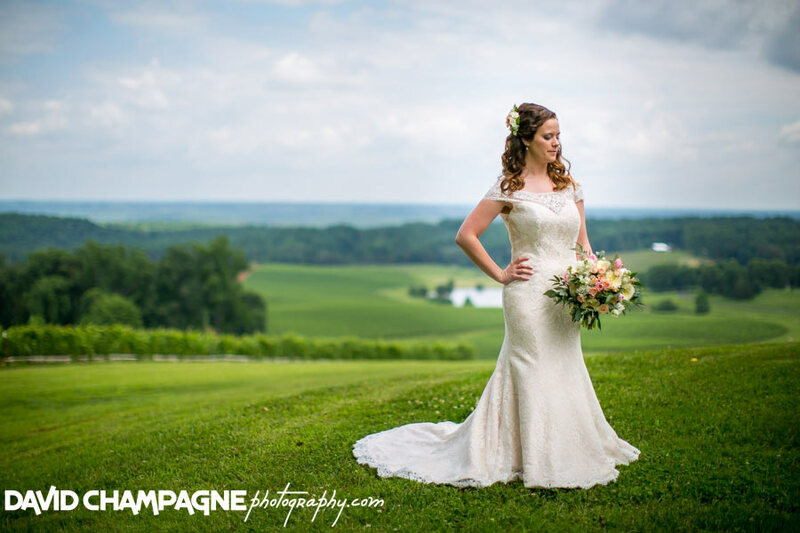 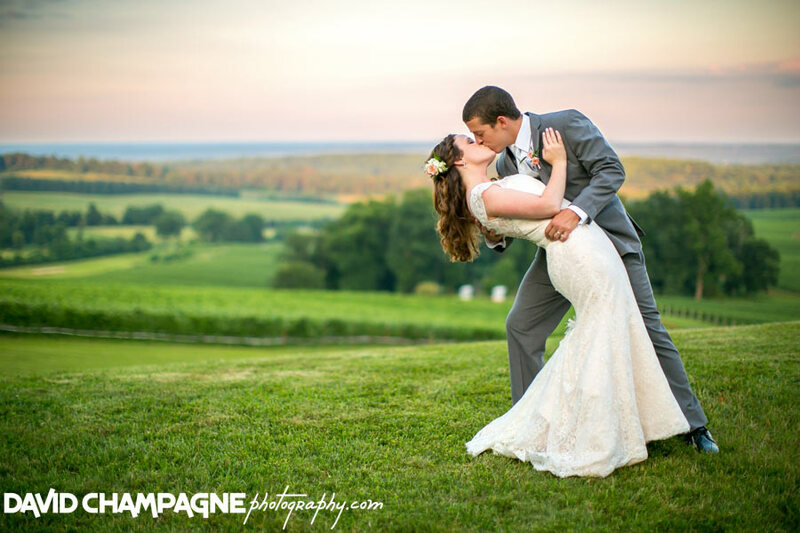 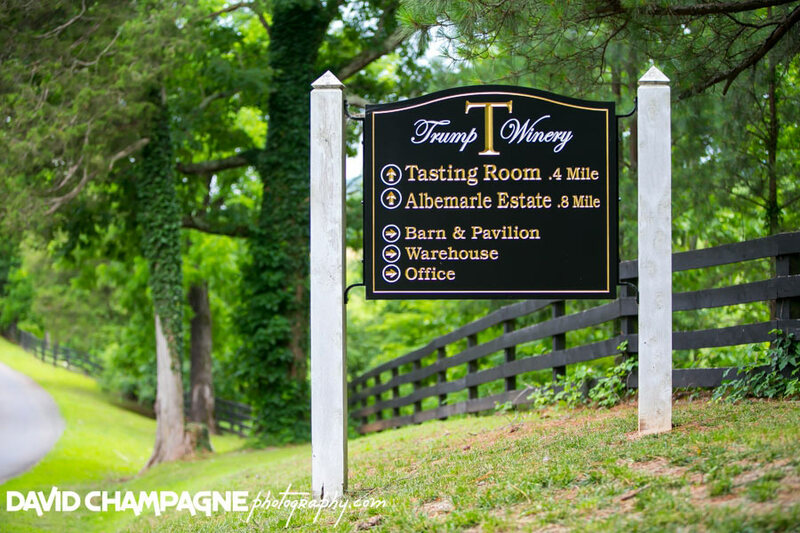 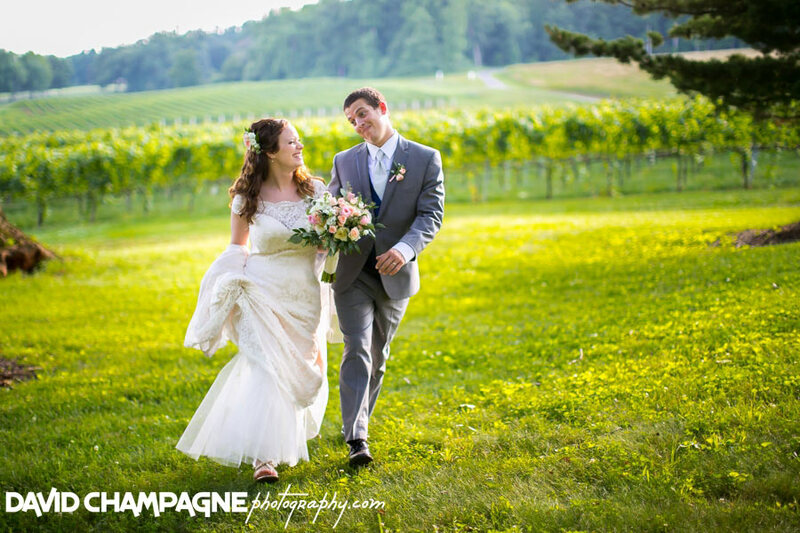 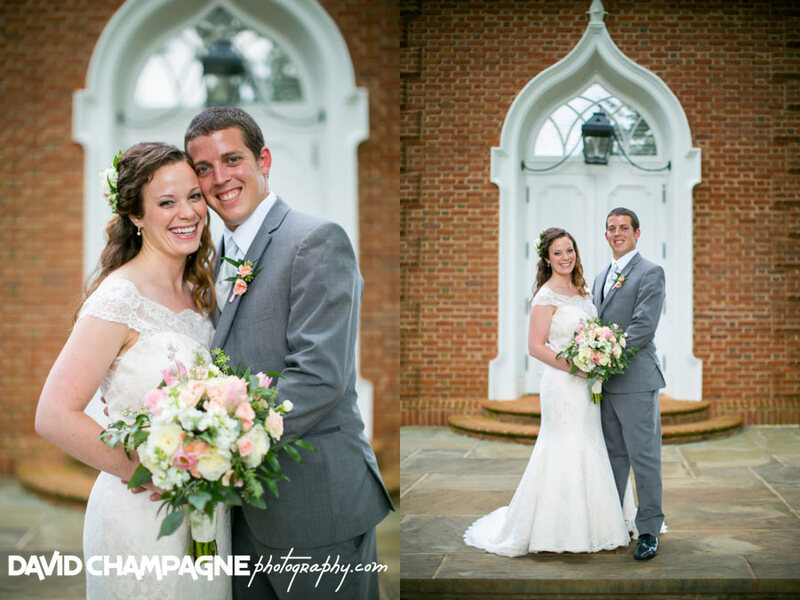 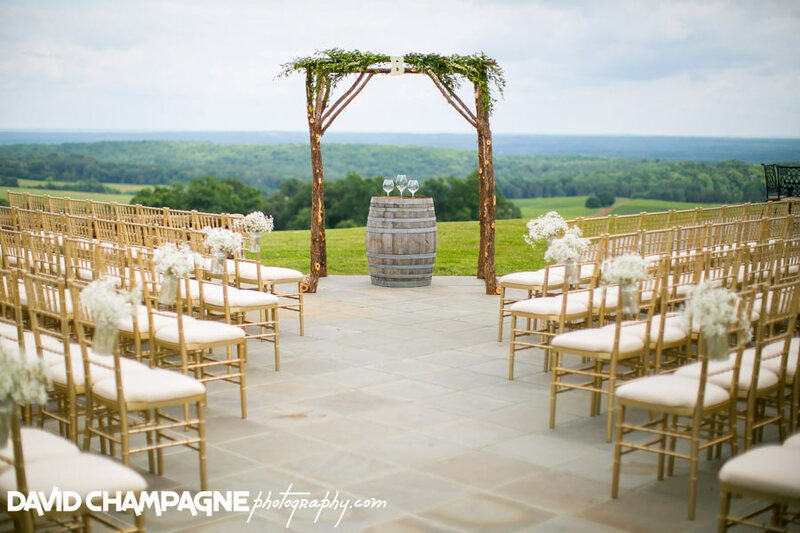 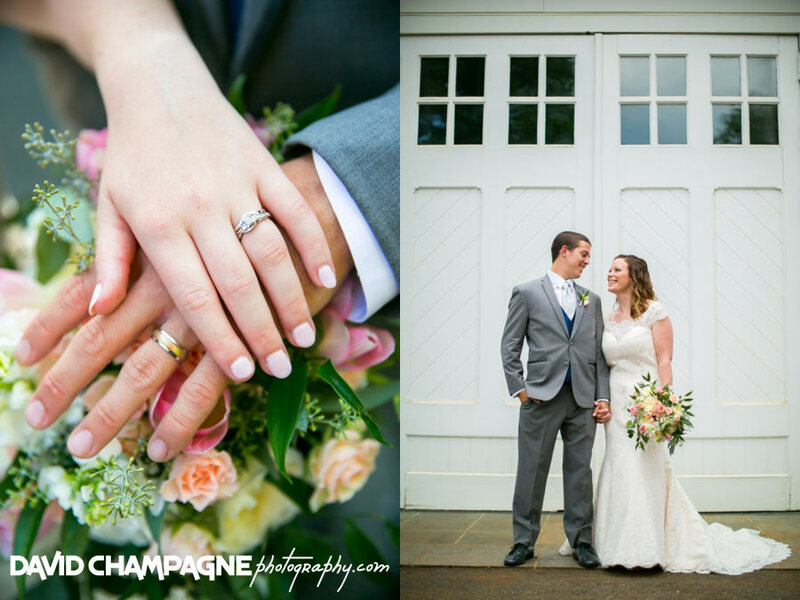 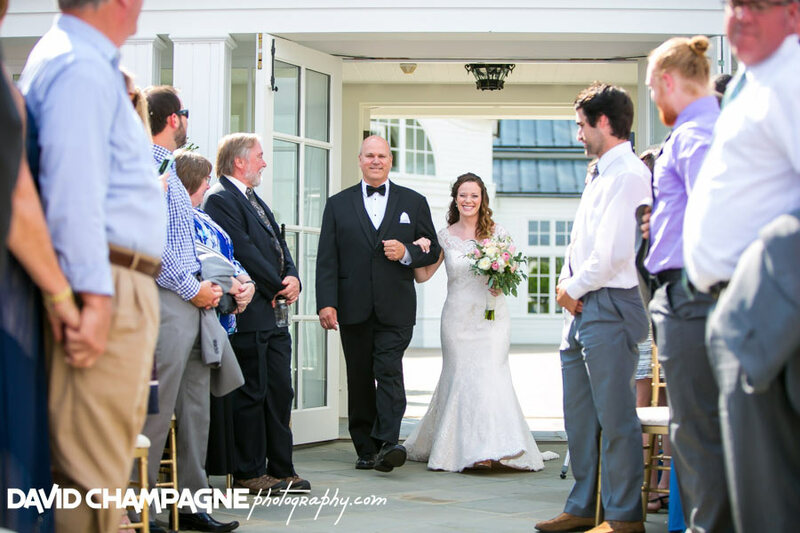 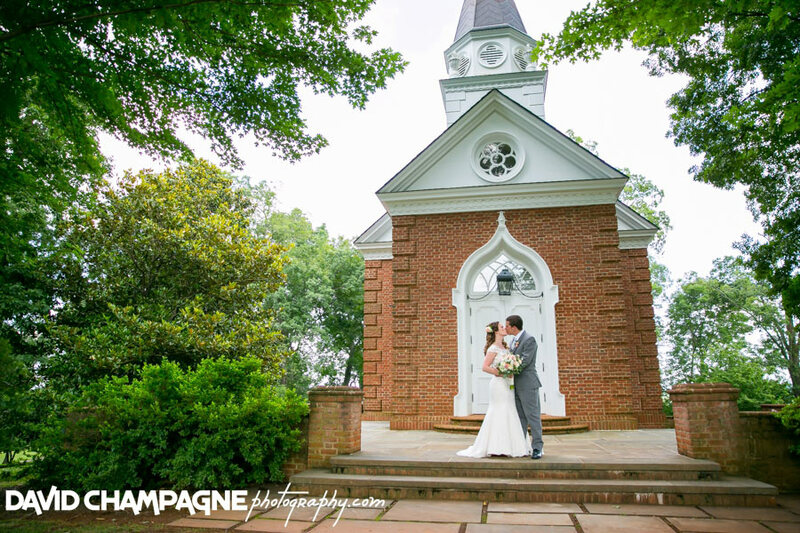 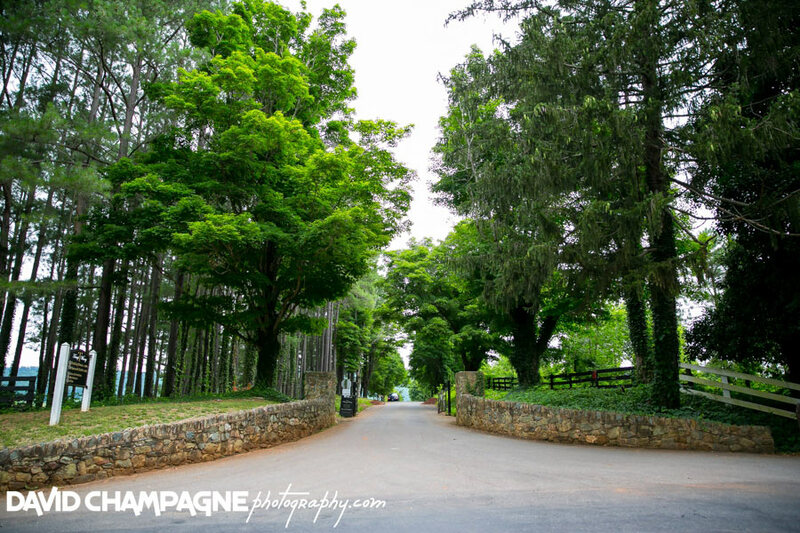 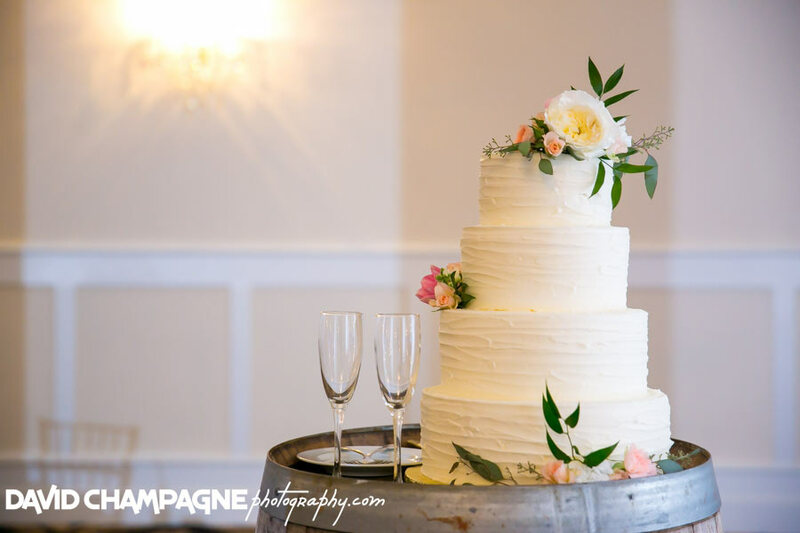 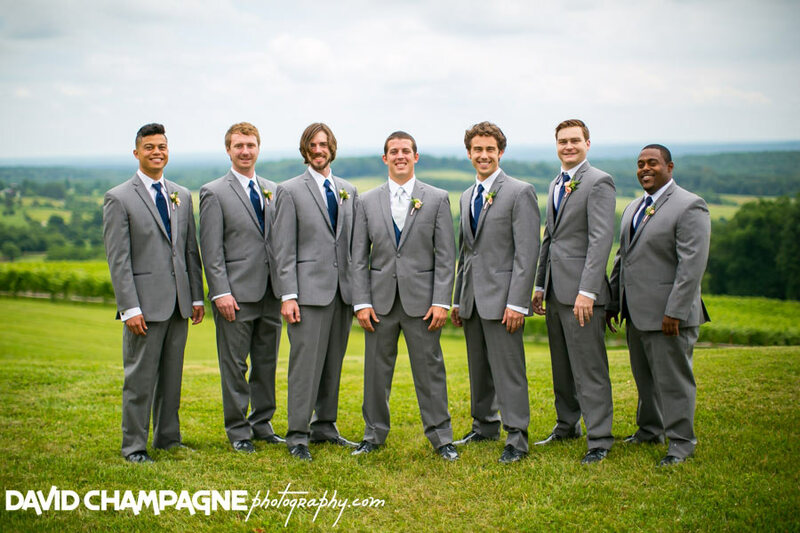 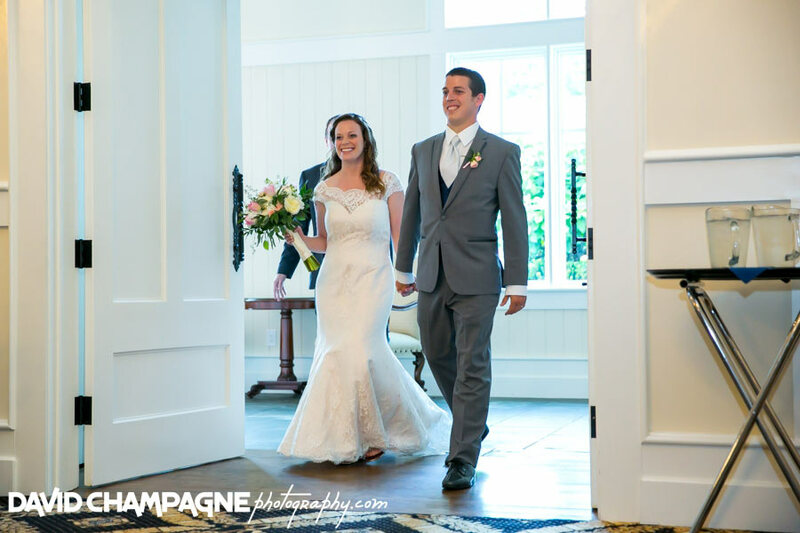 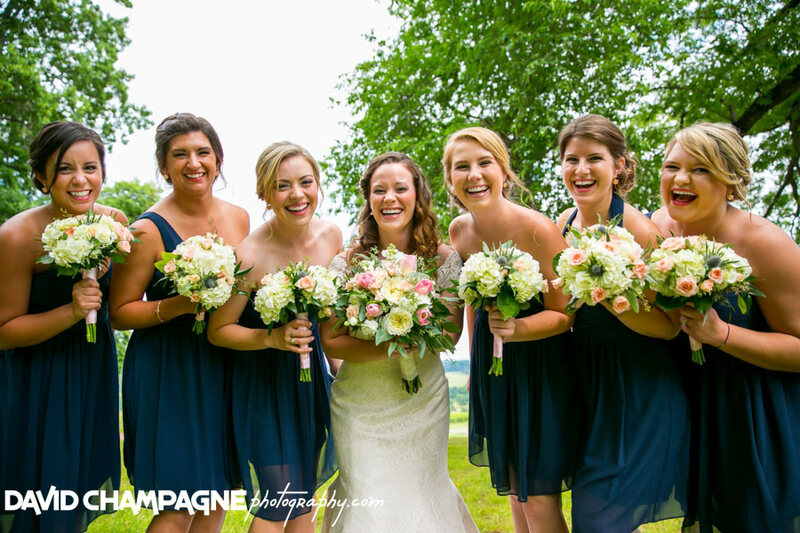 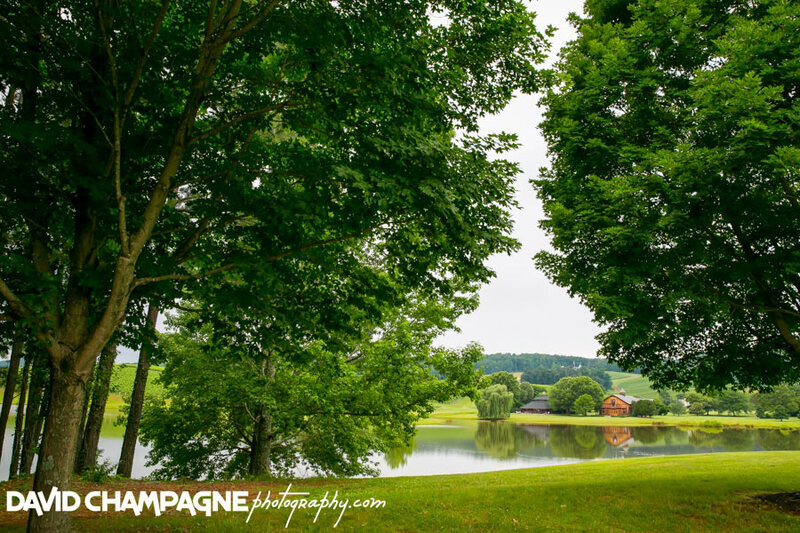 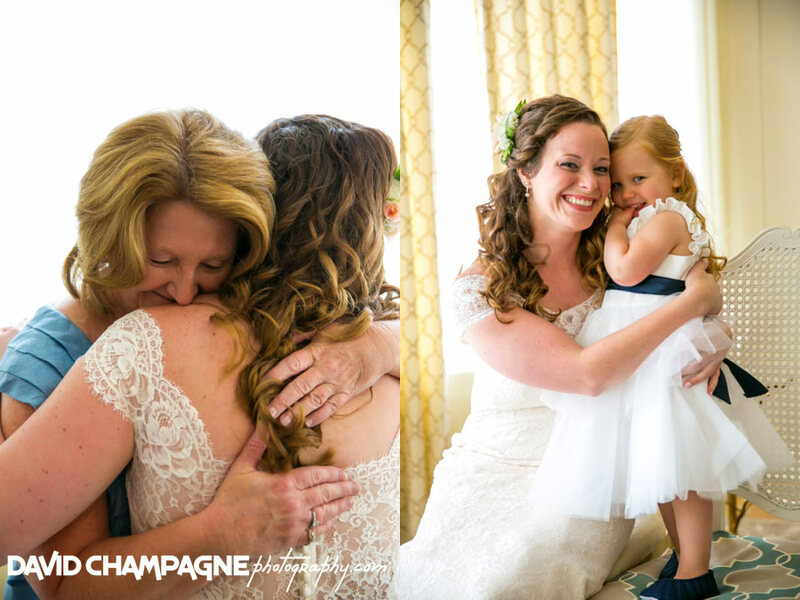 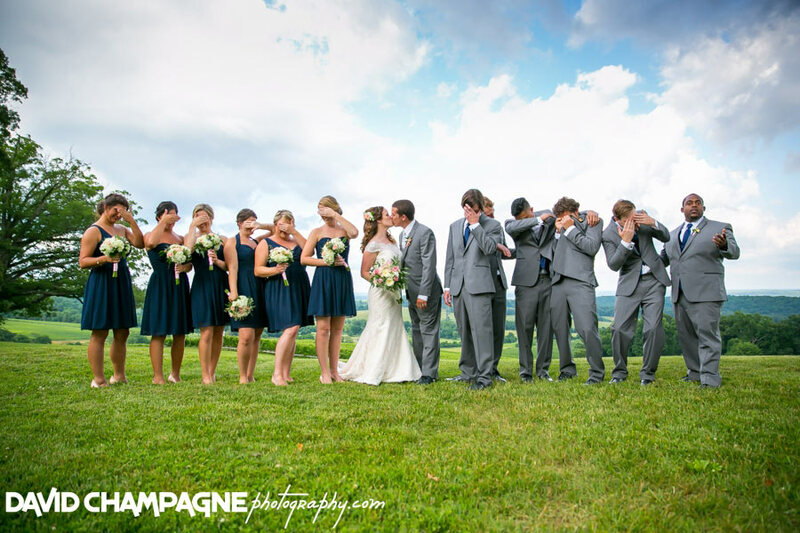 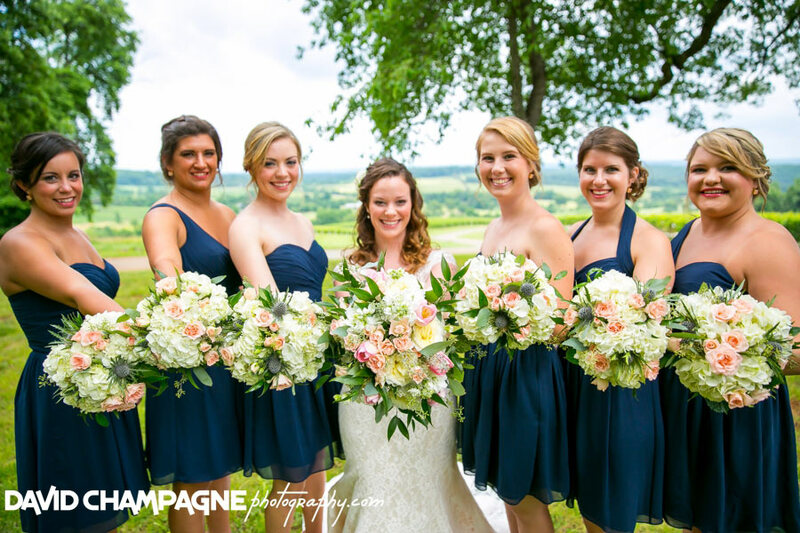 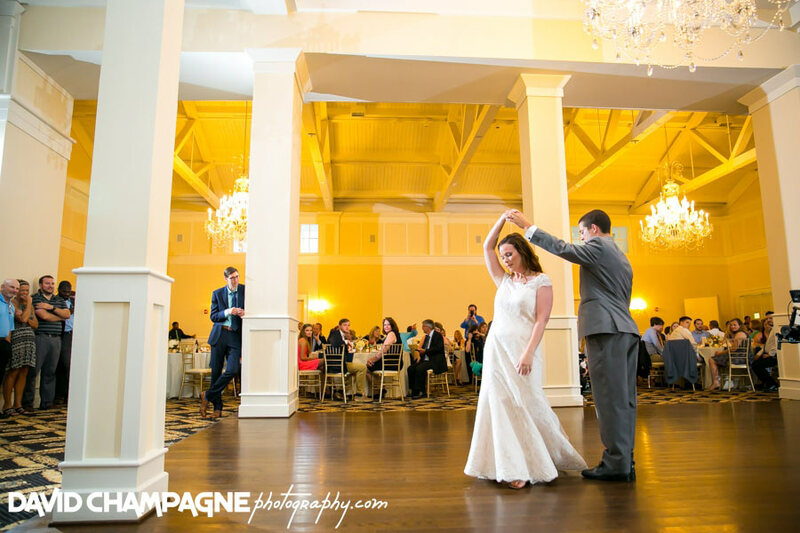 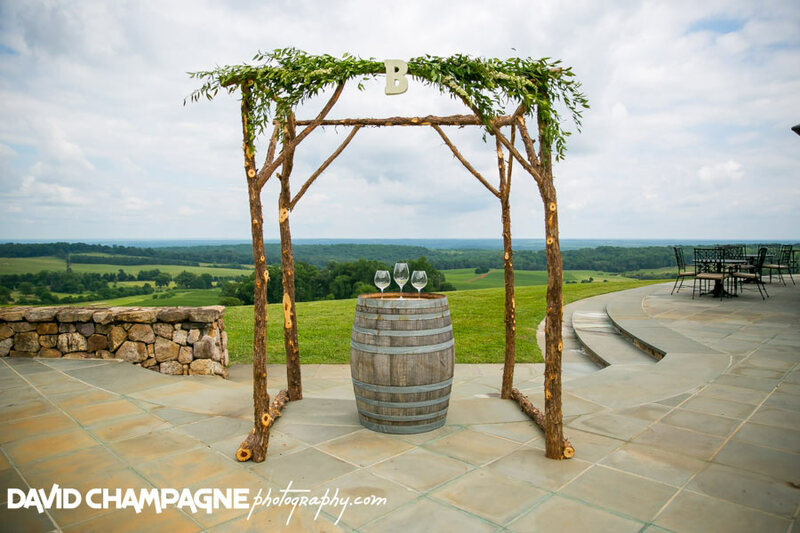 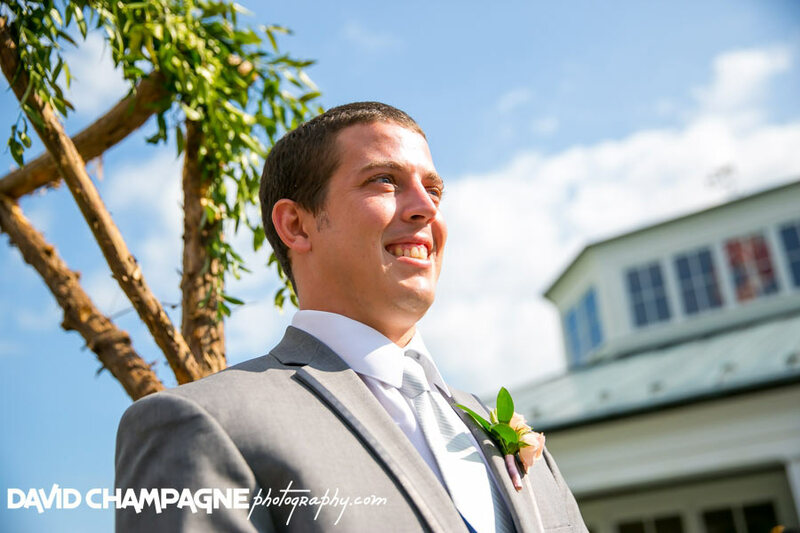 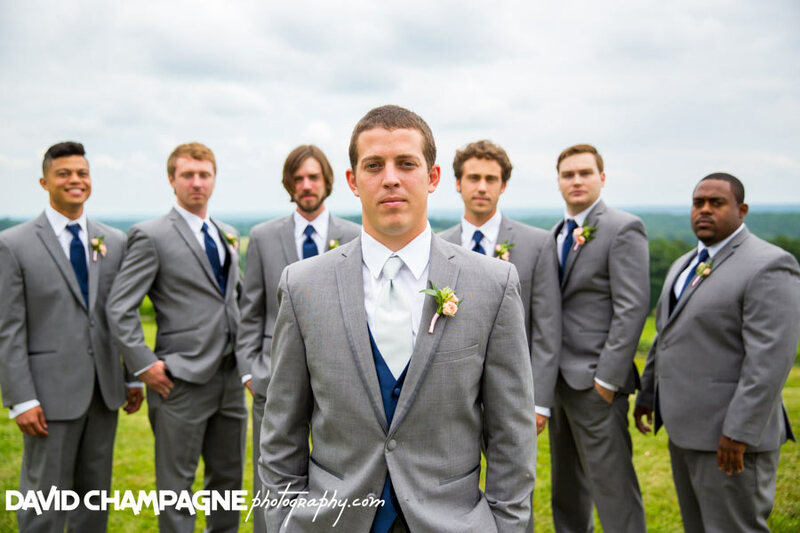 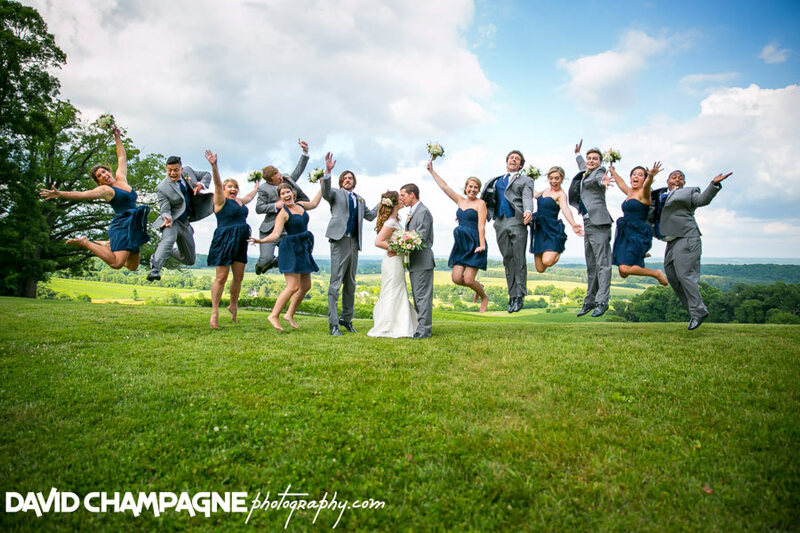 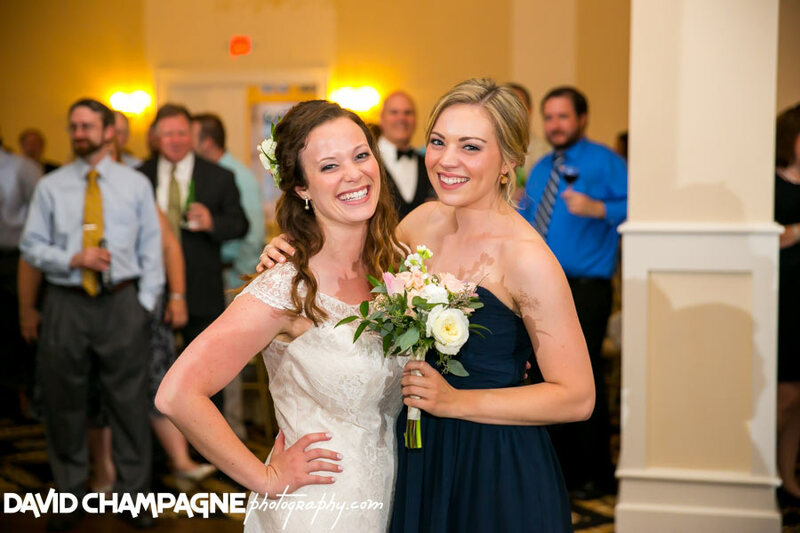 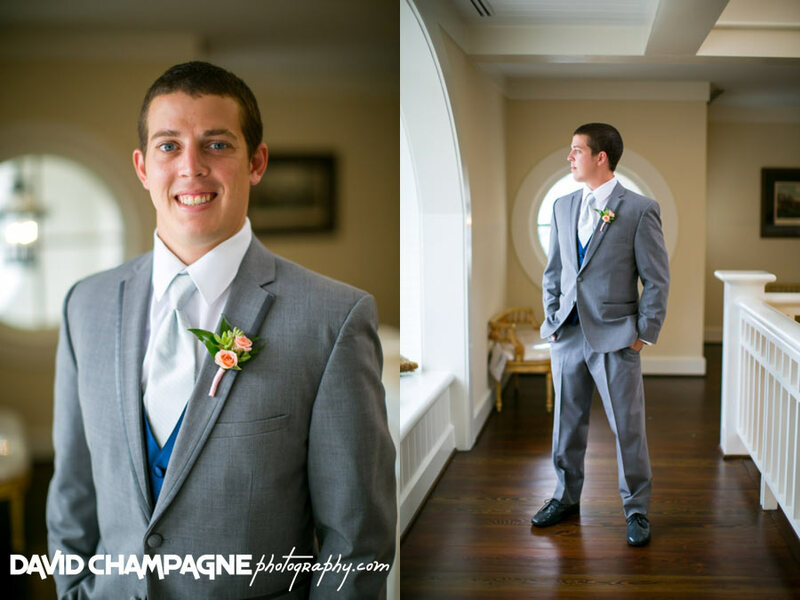 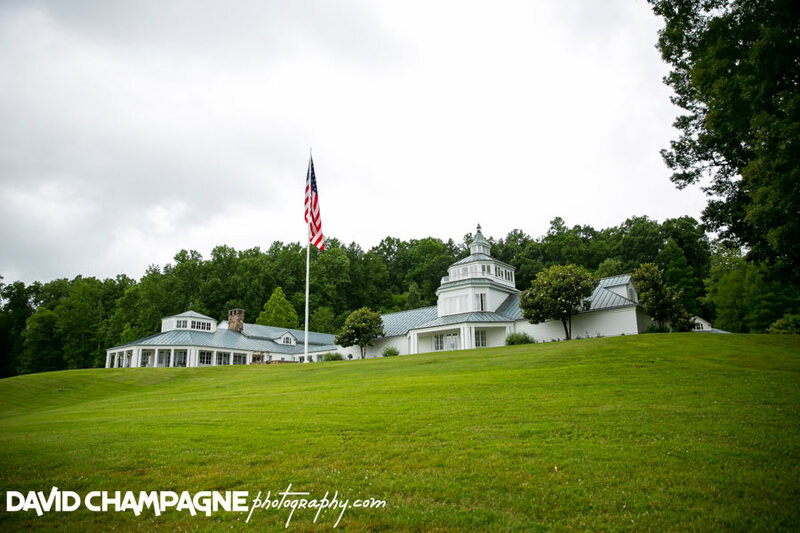 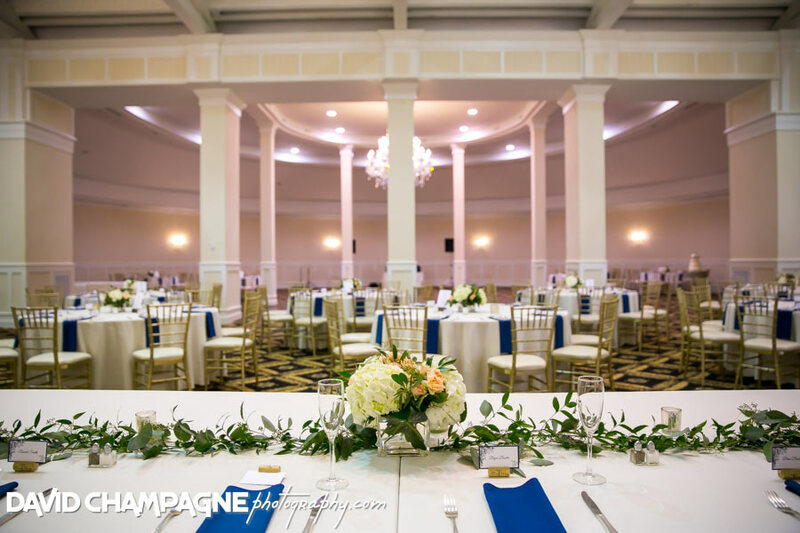 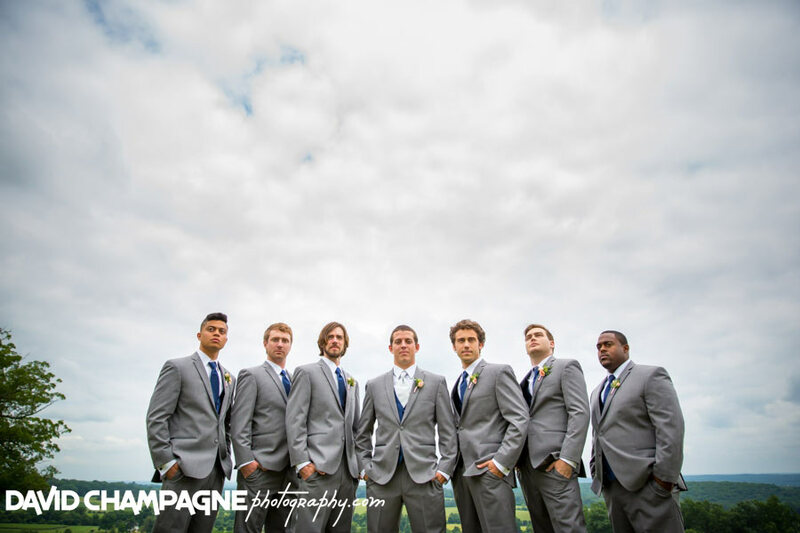 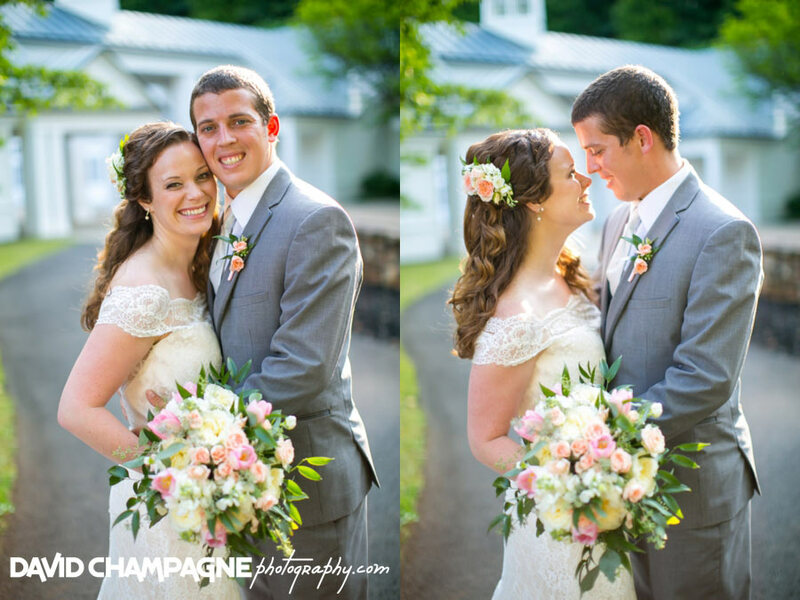 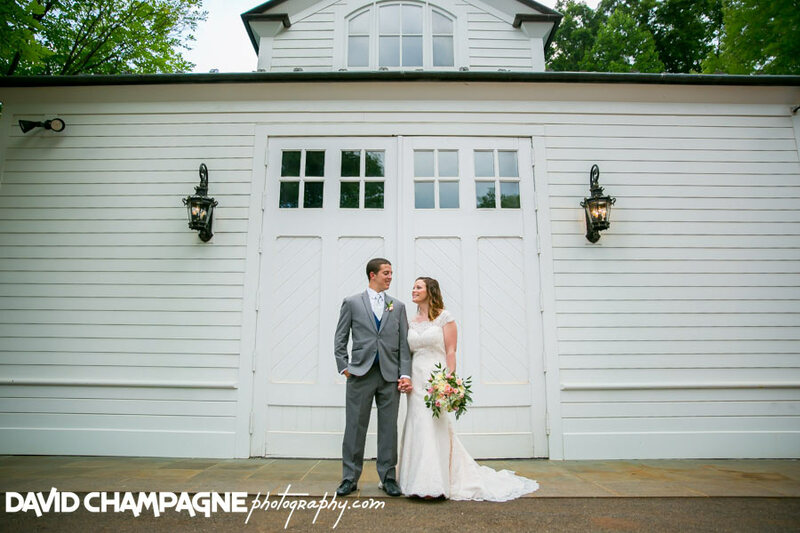 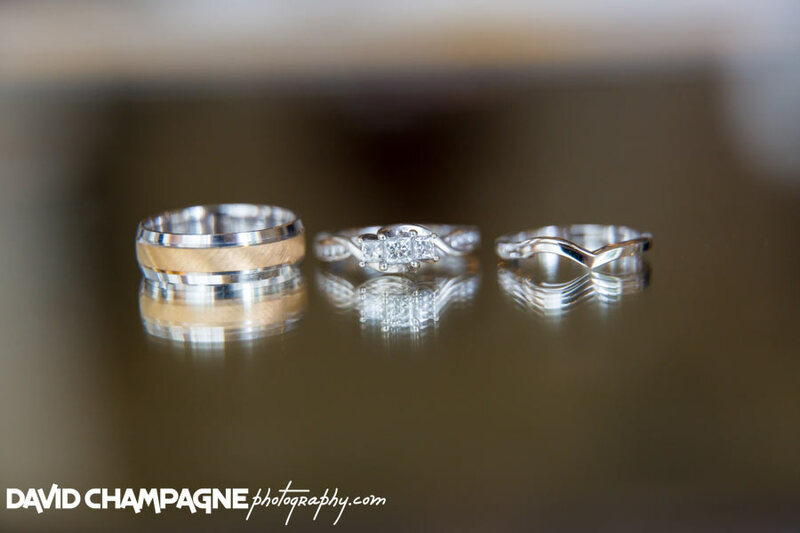 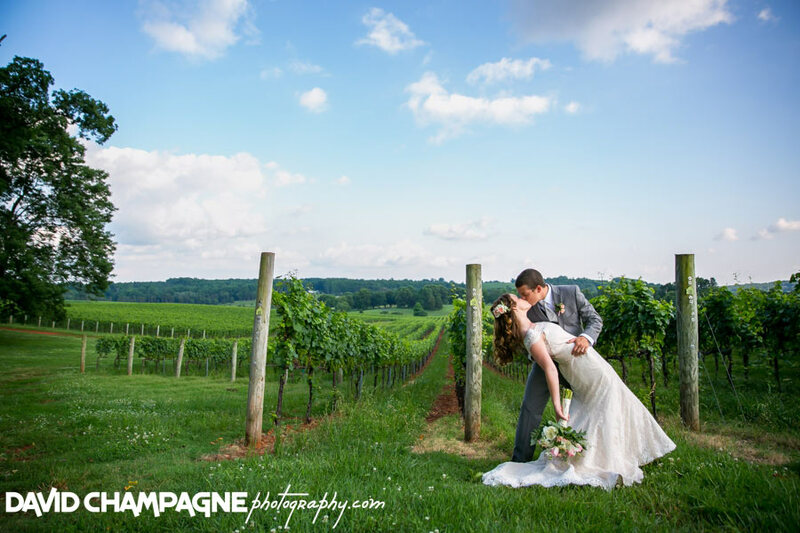 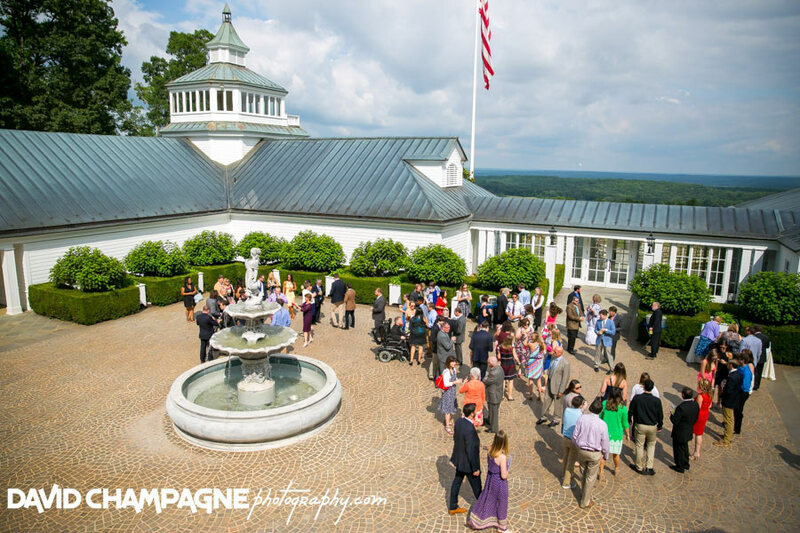 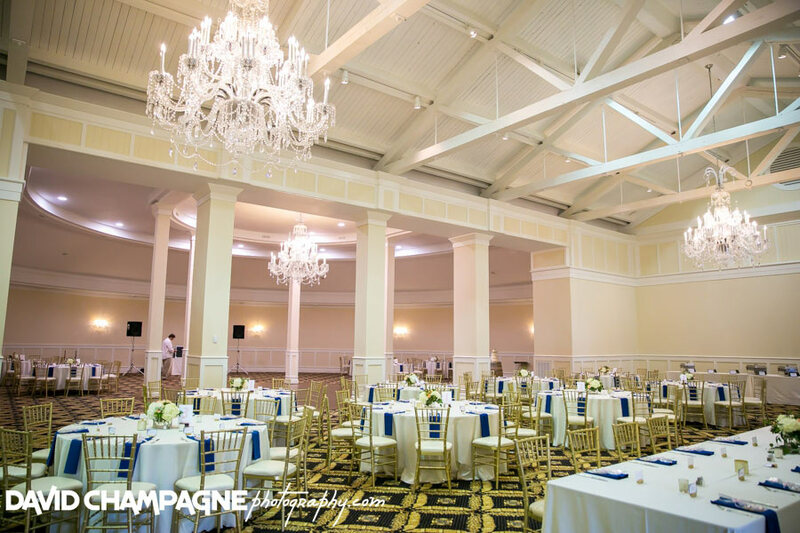 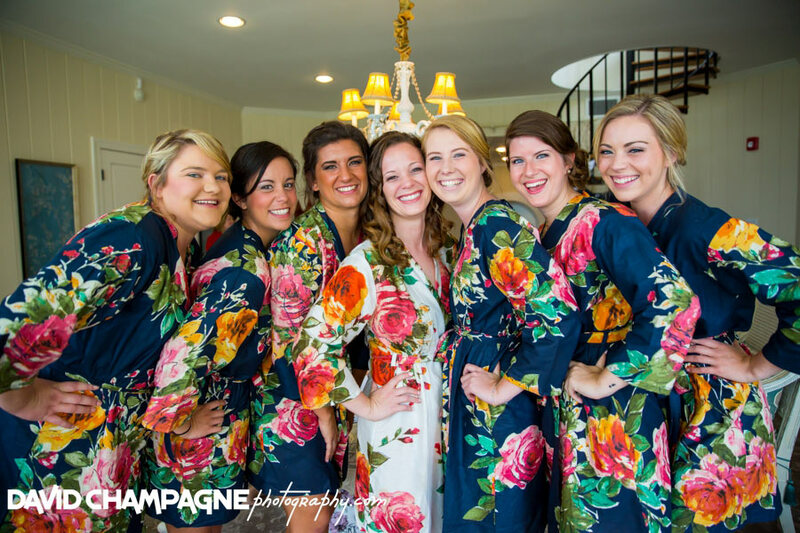 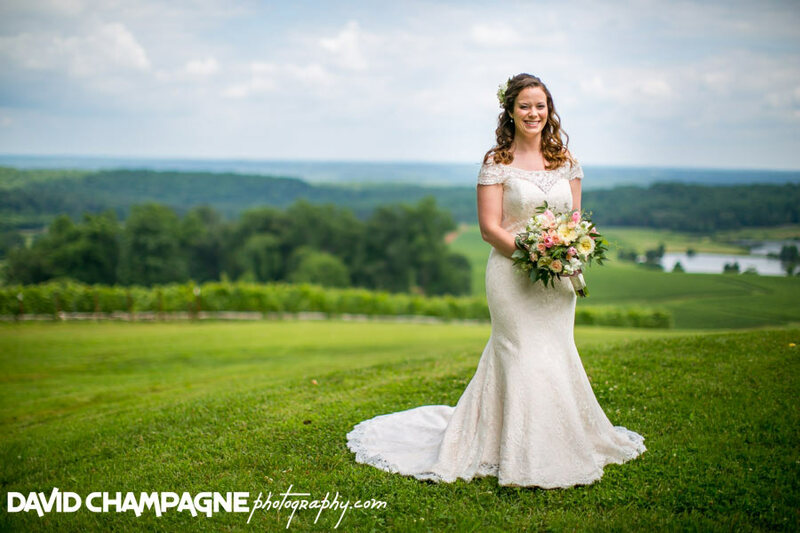 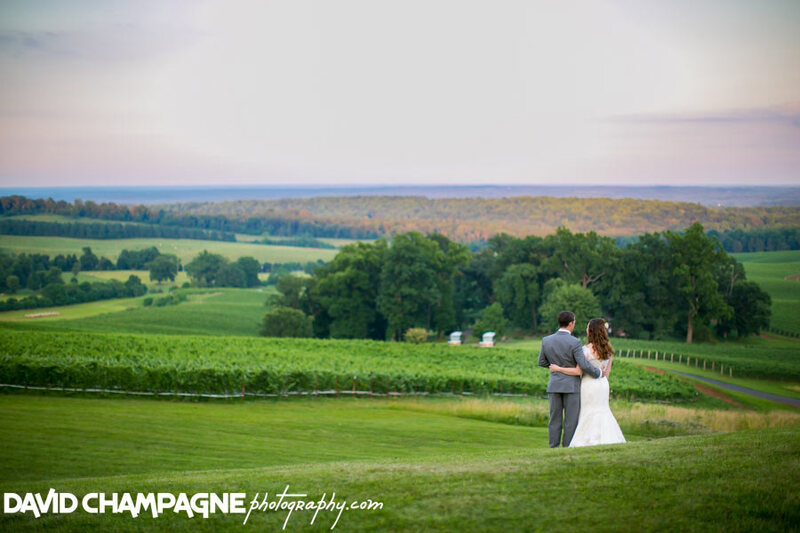 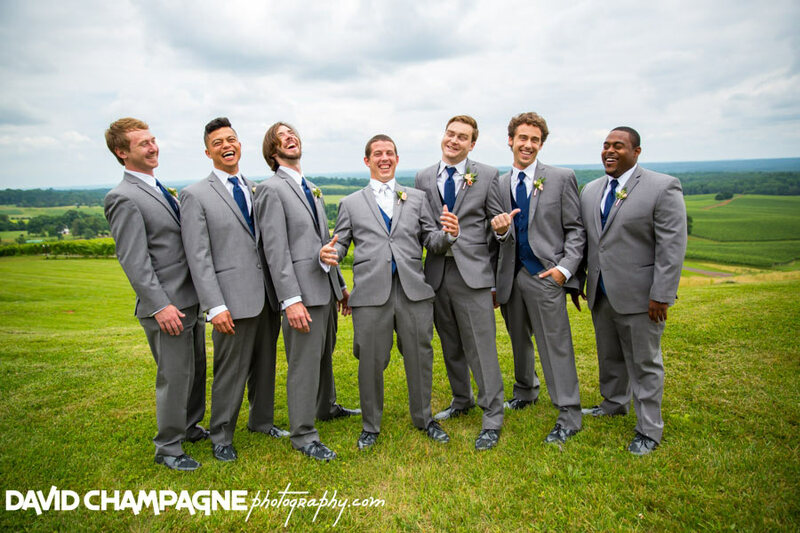 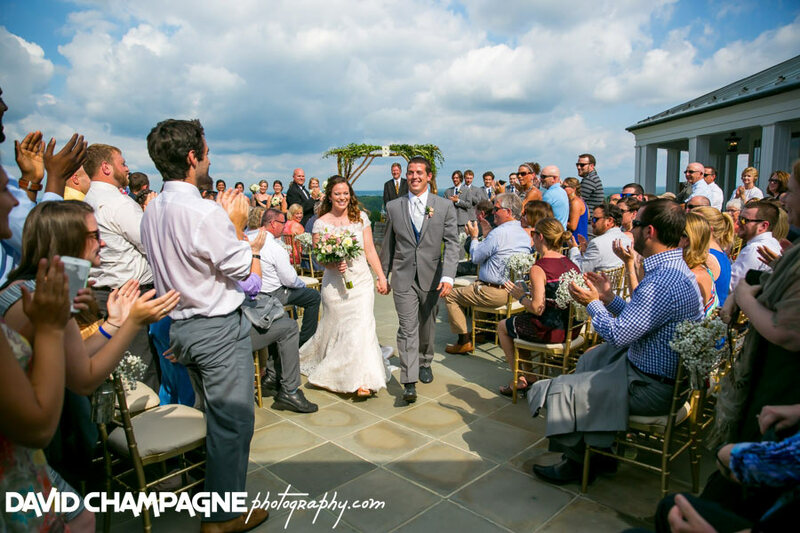 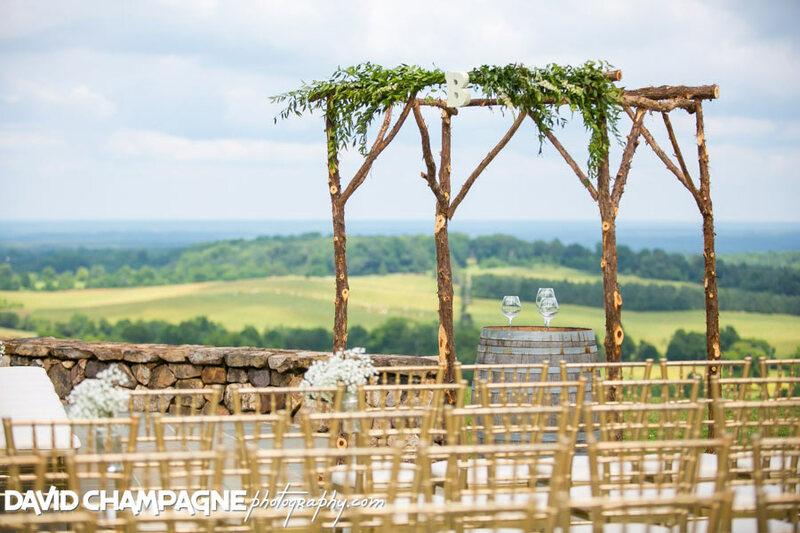 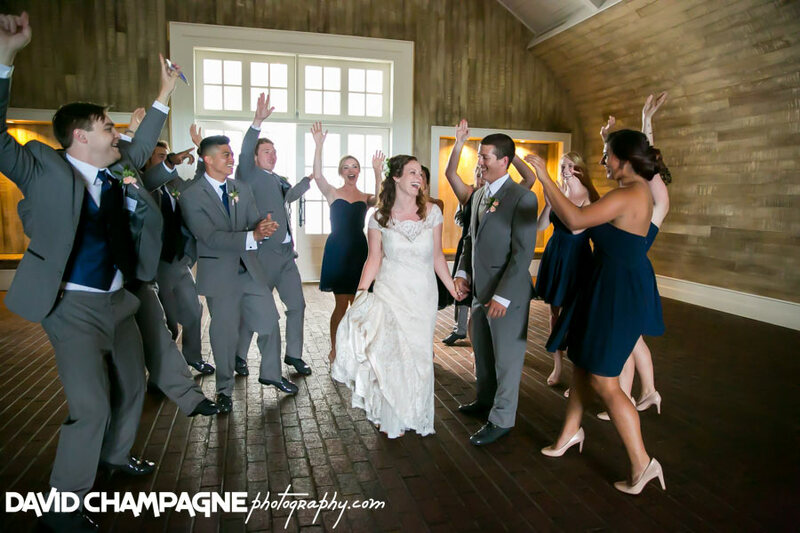 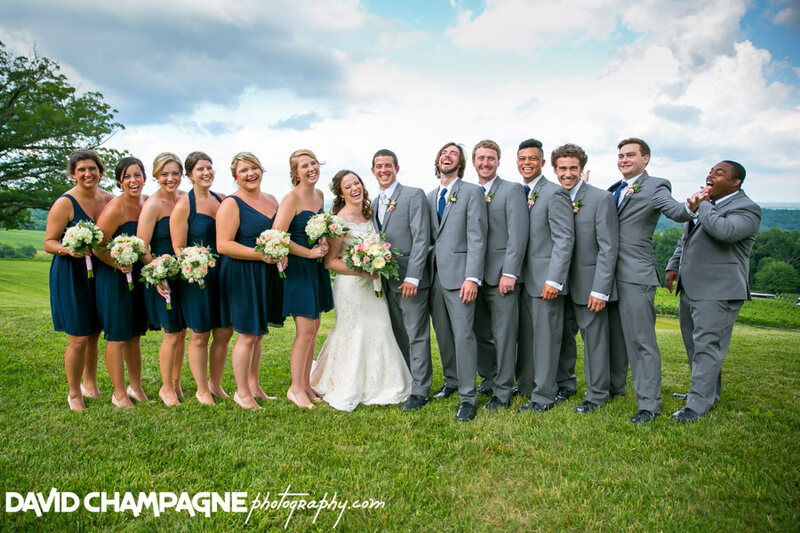 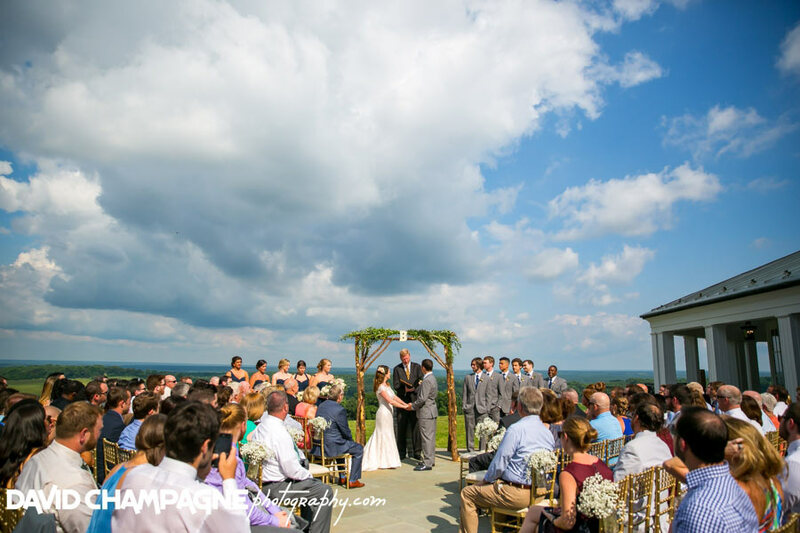 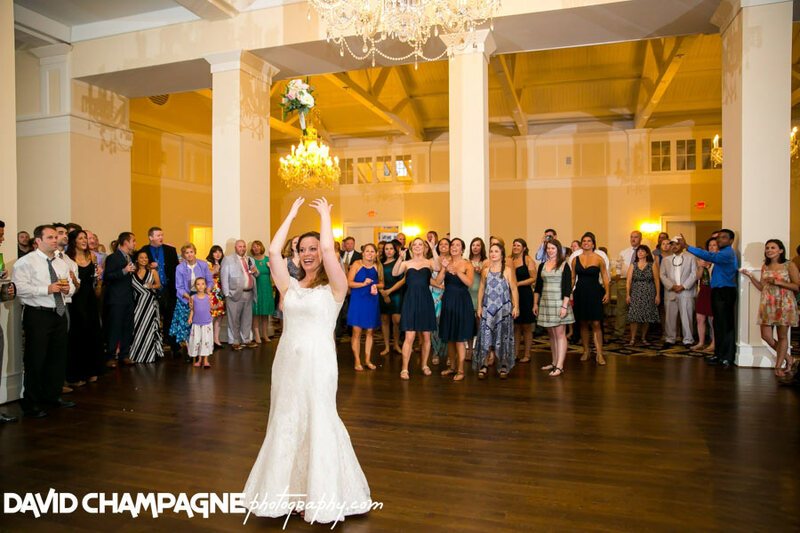 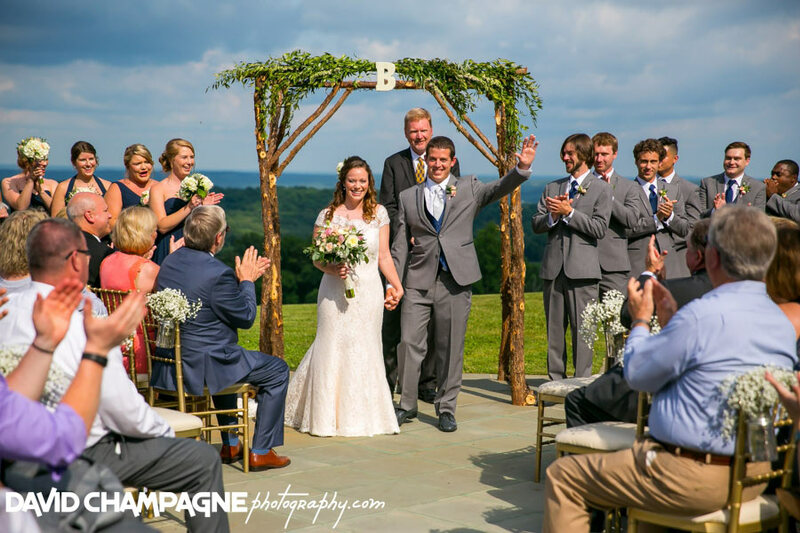 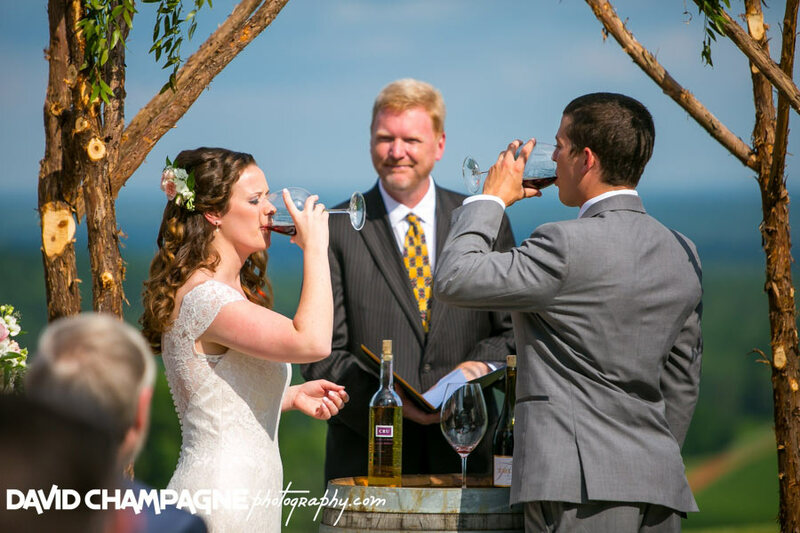 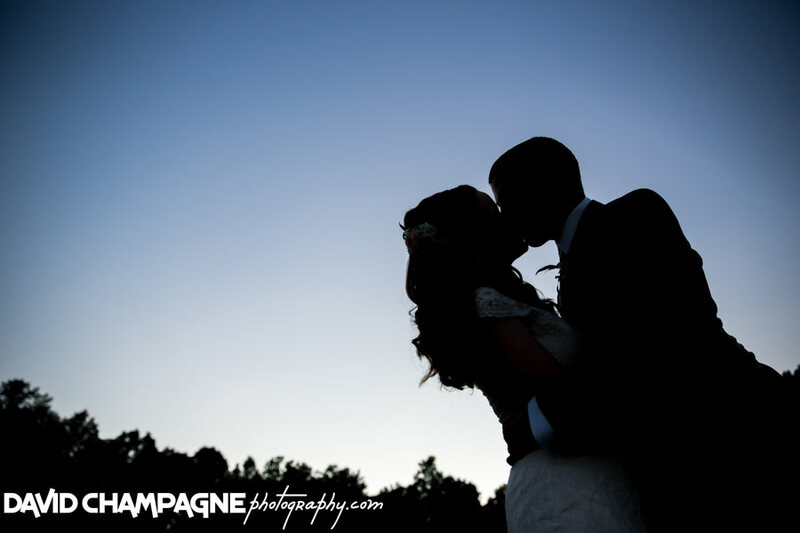 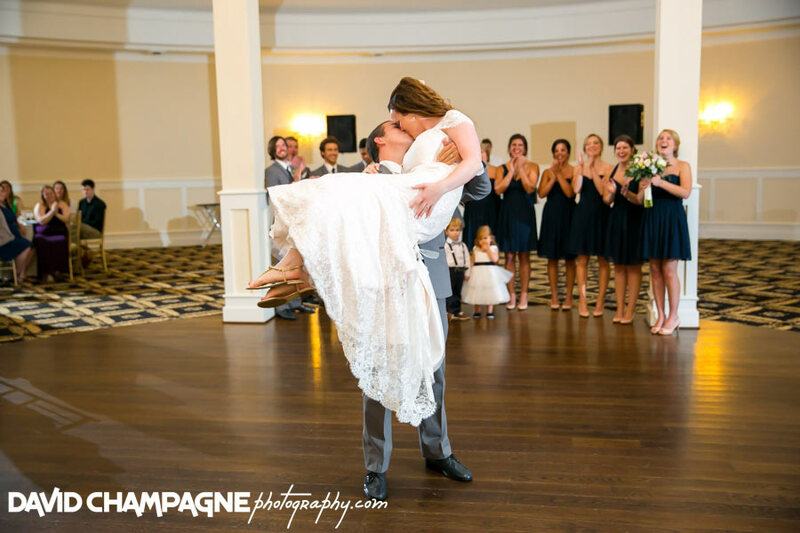 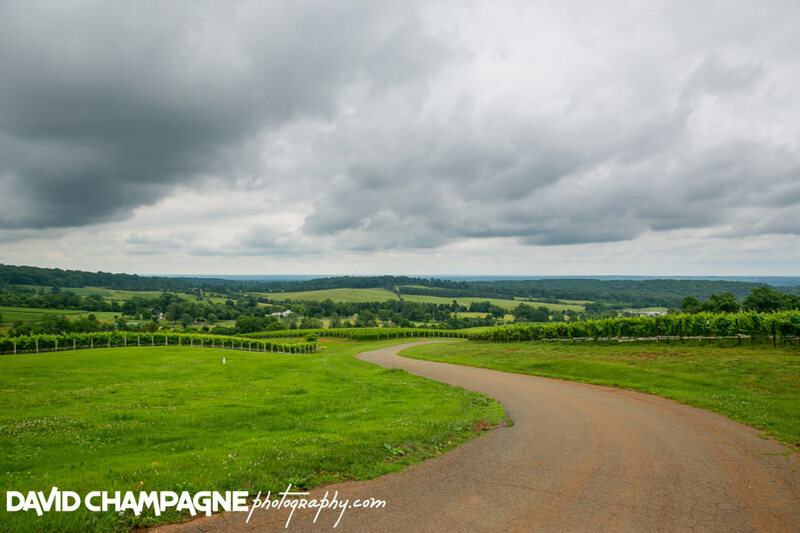 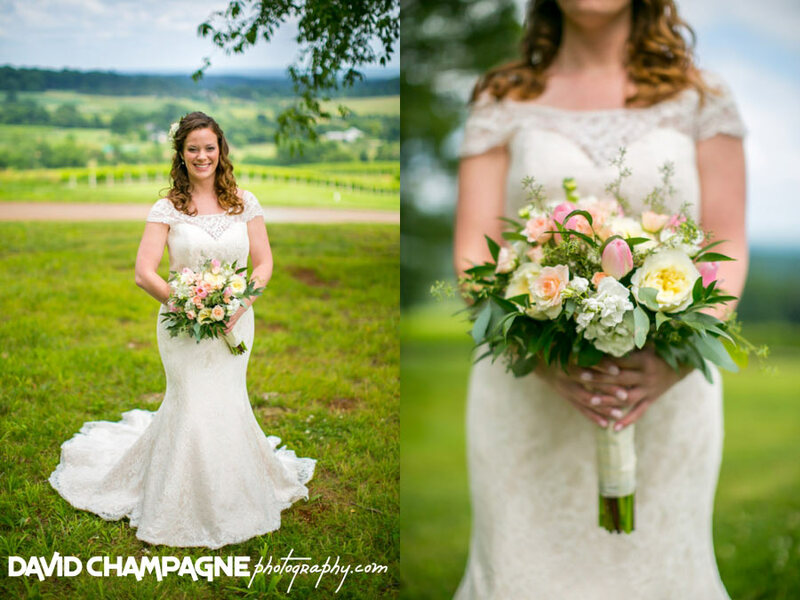 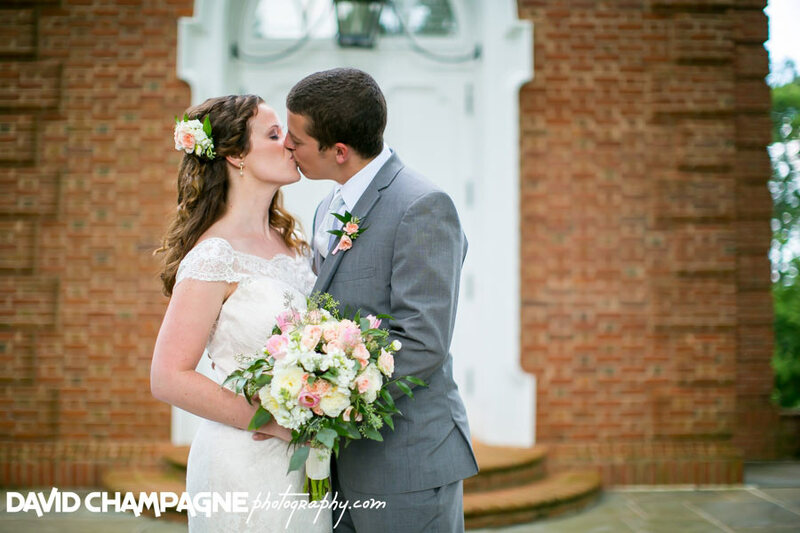 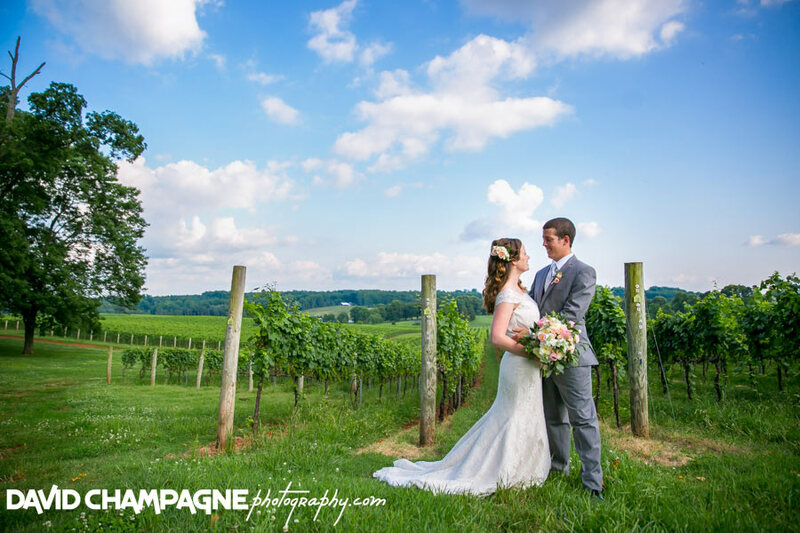 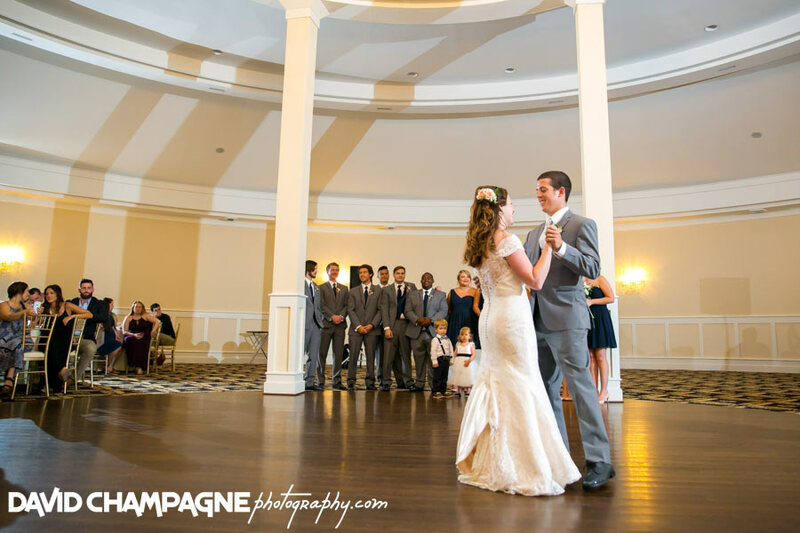 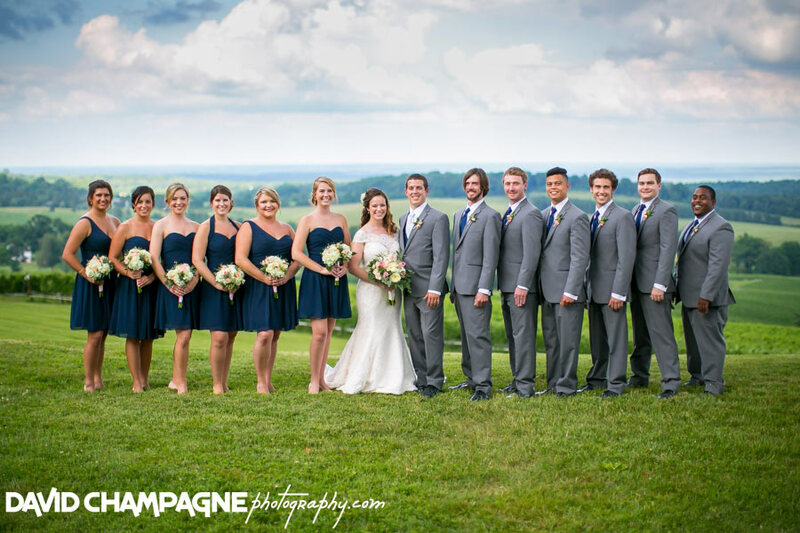 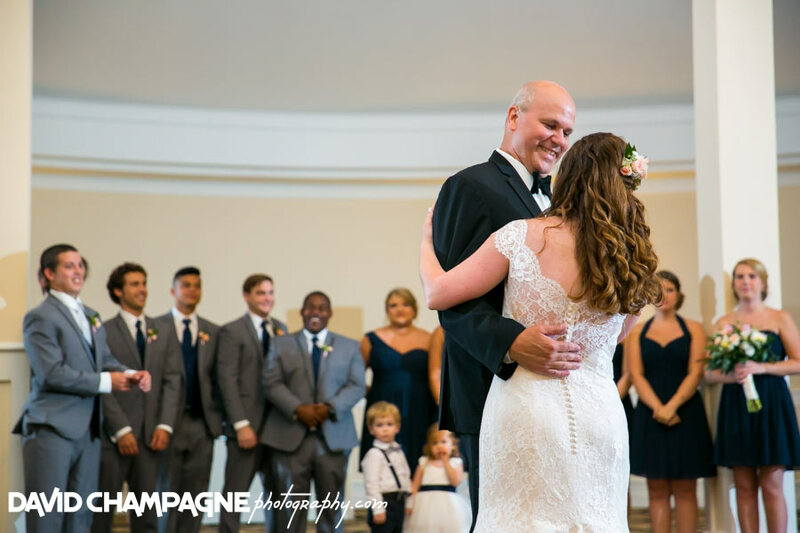 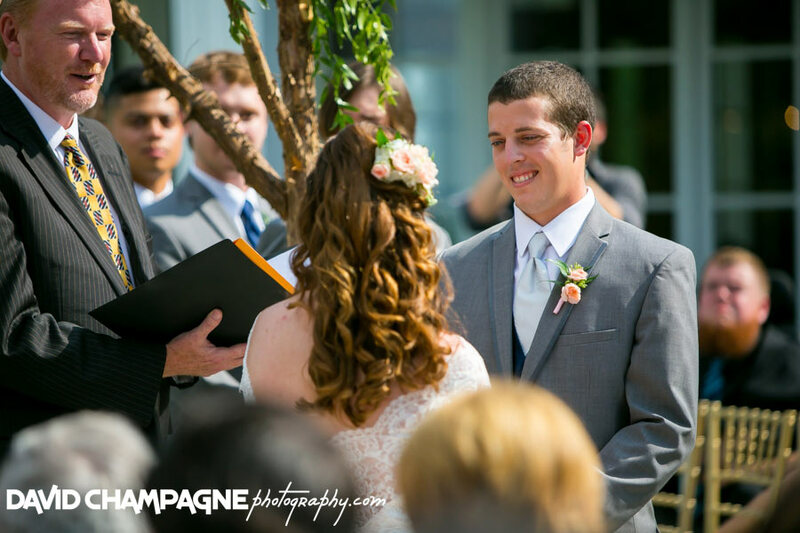 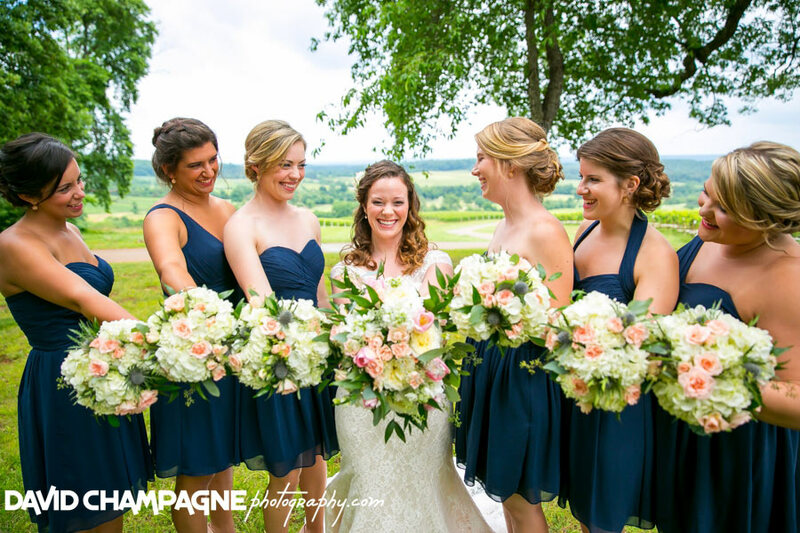 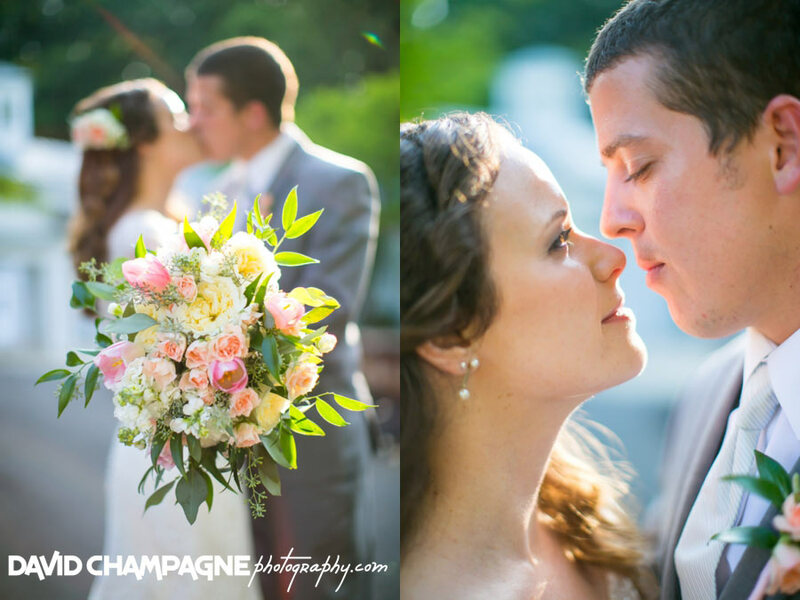 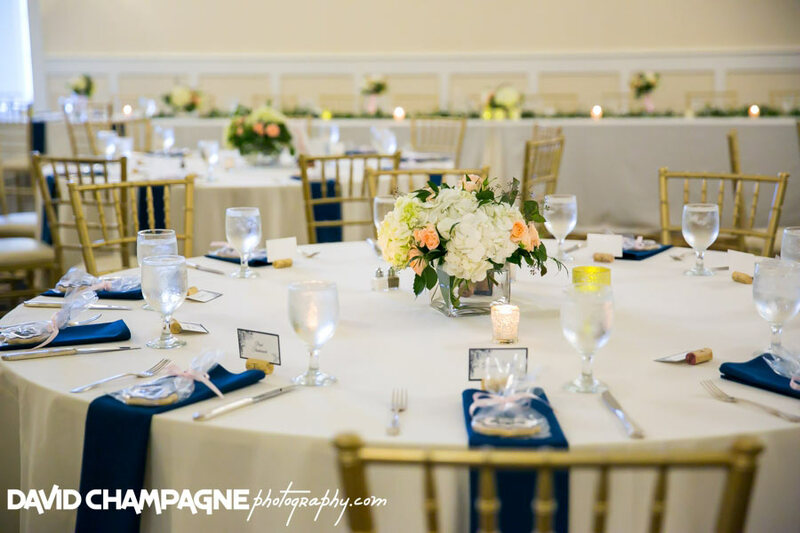 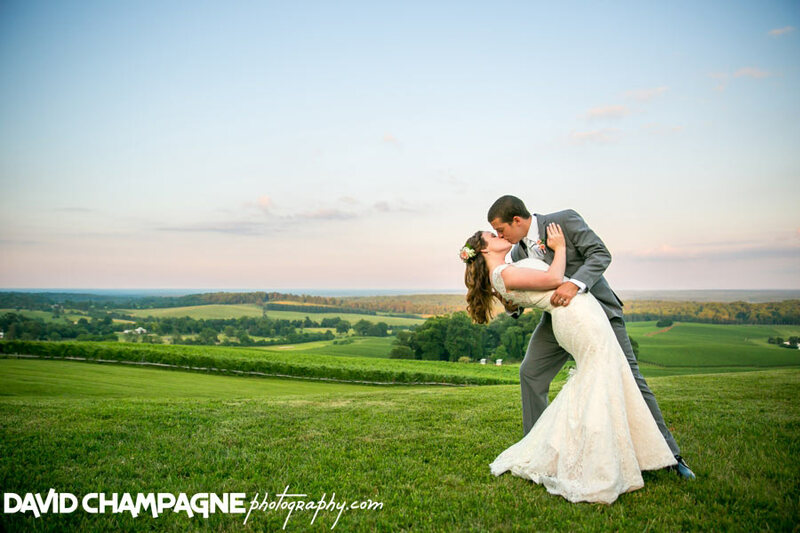 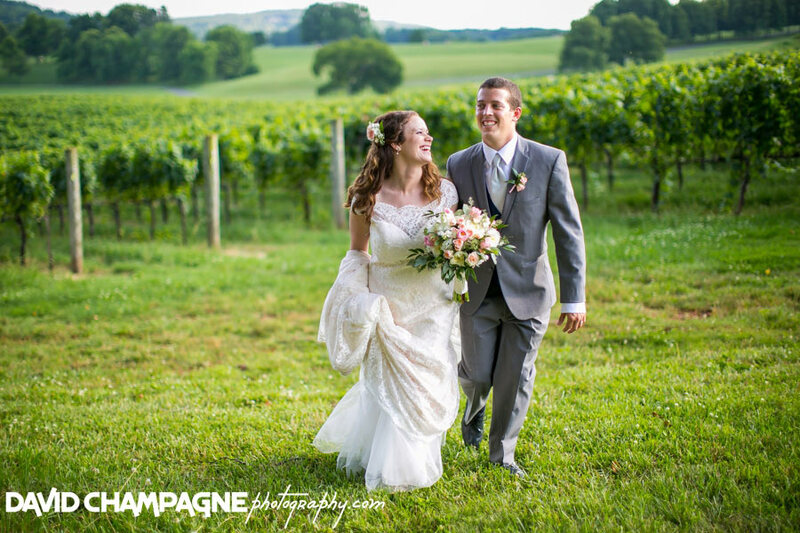 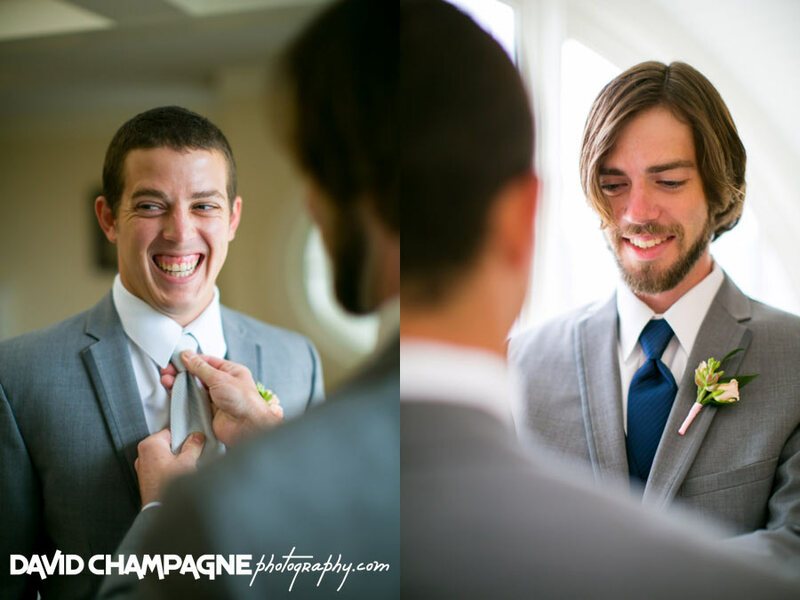 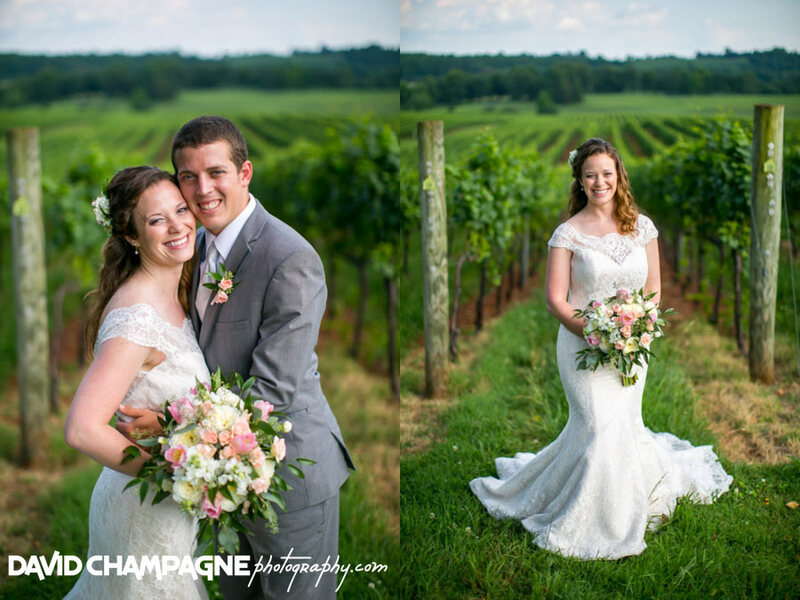 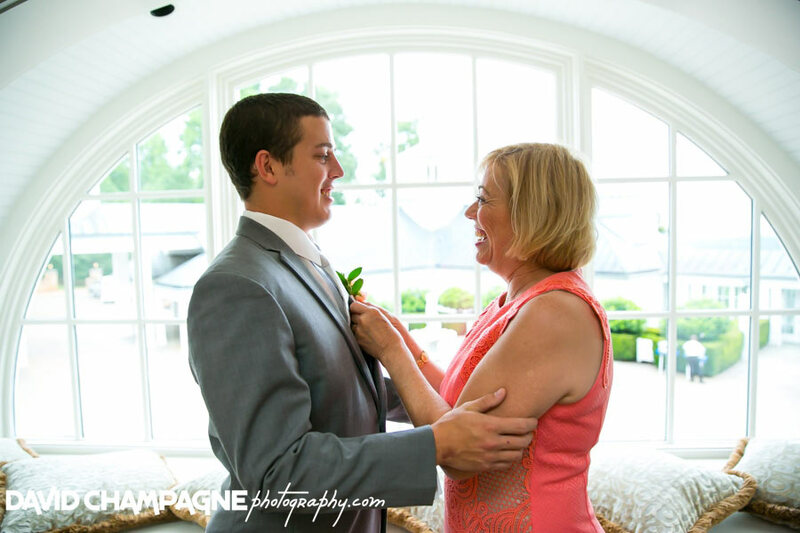 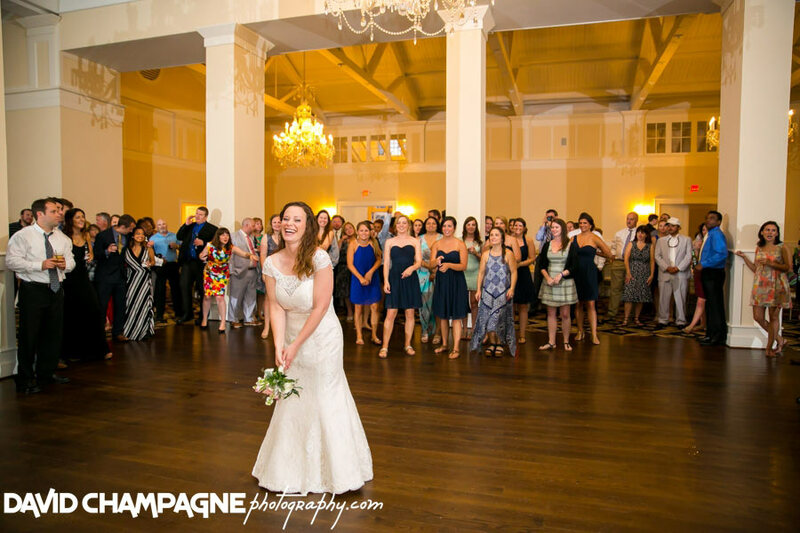 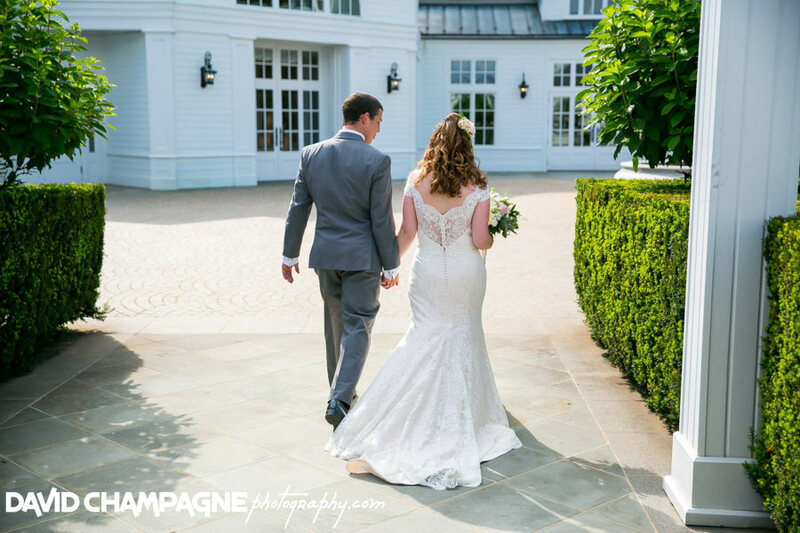 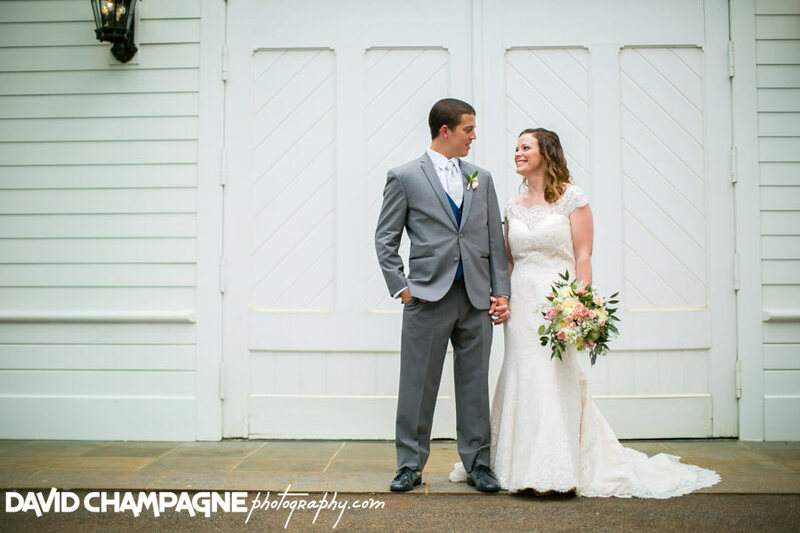 Laura and Bryce were married at the picturesque Trump Winery Vineyard in Charlottesville, Virginia. 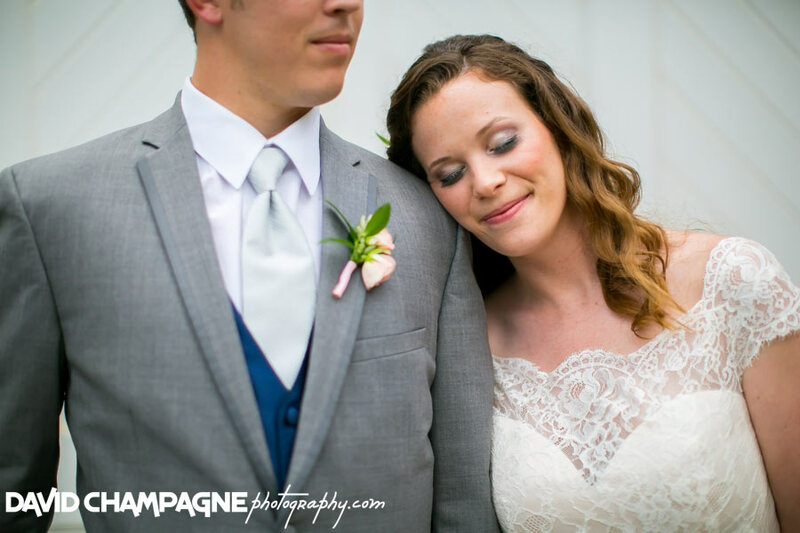 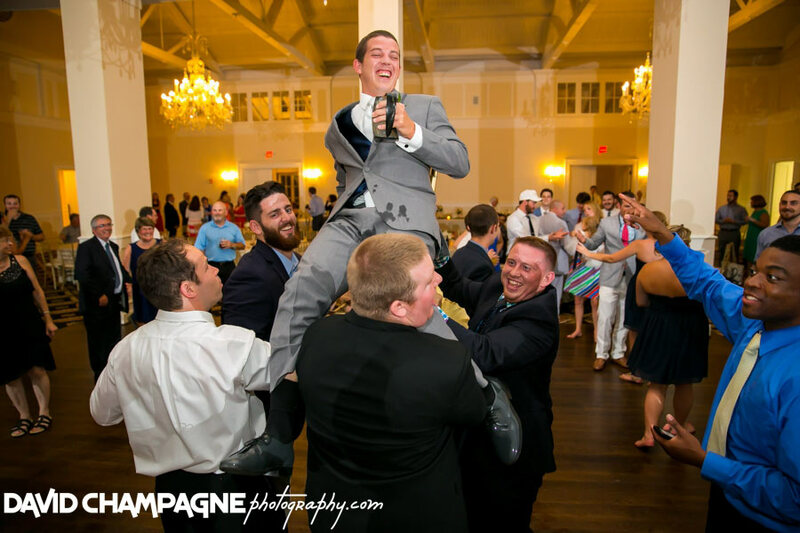 Also, check out the following links to view their Wedding Slideshow, Online Gallery, and Facebook Post in a new window and feel free to leave comments! 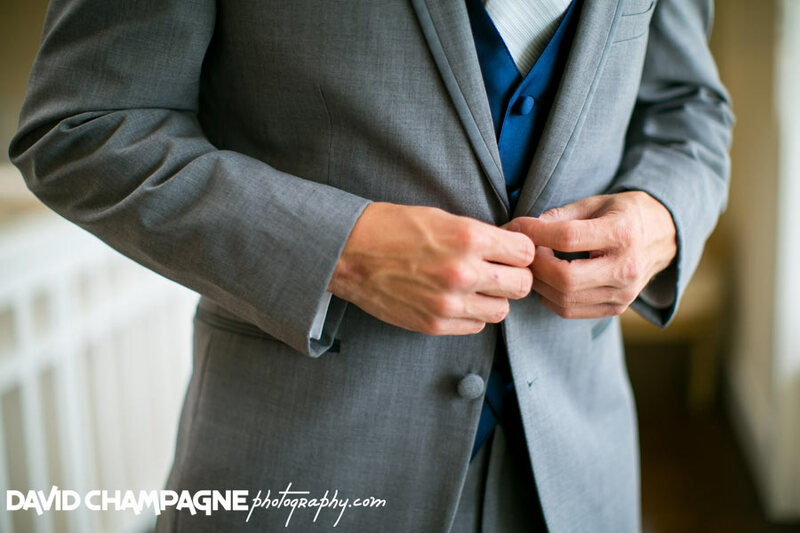 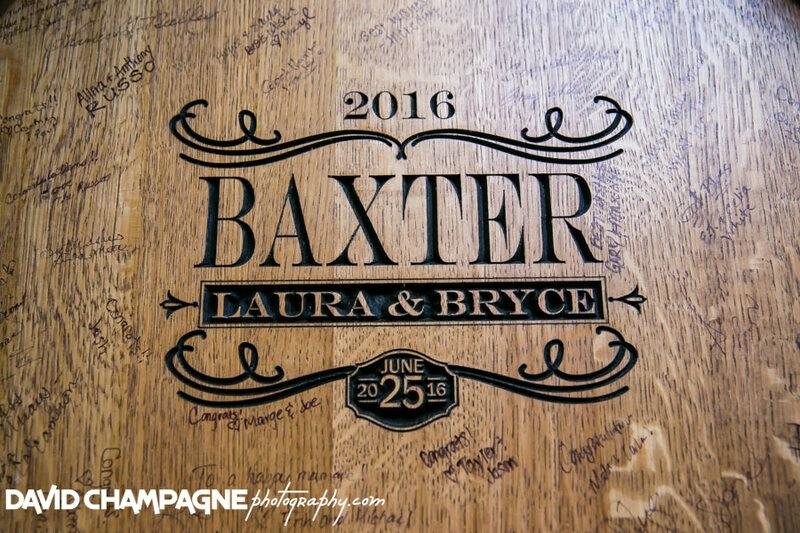 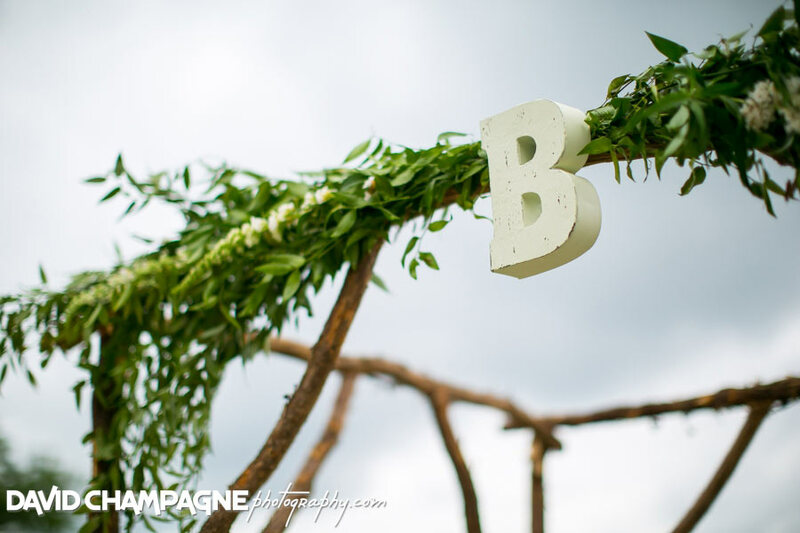 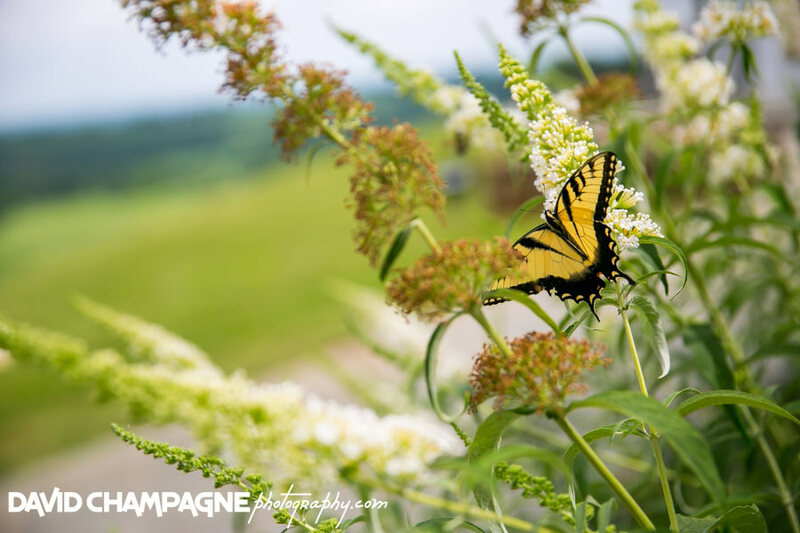 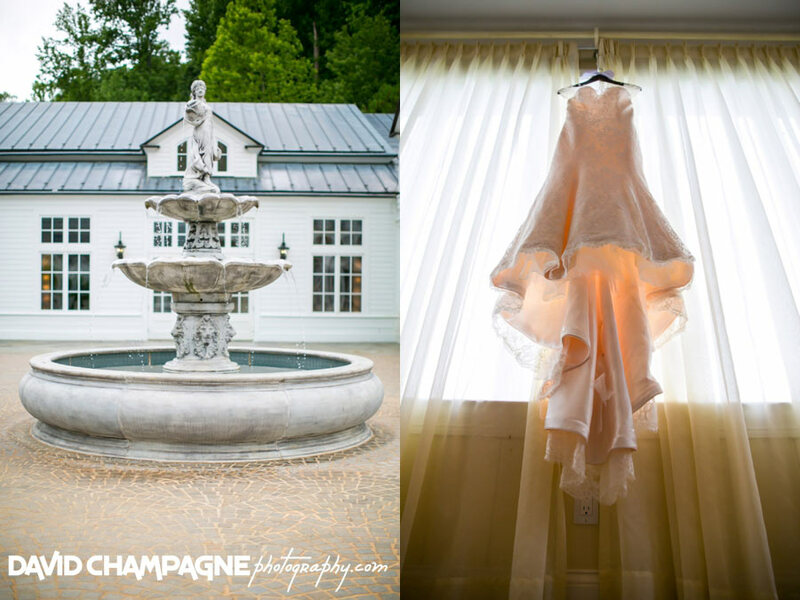 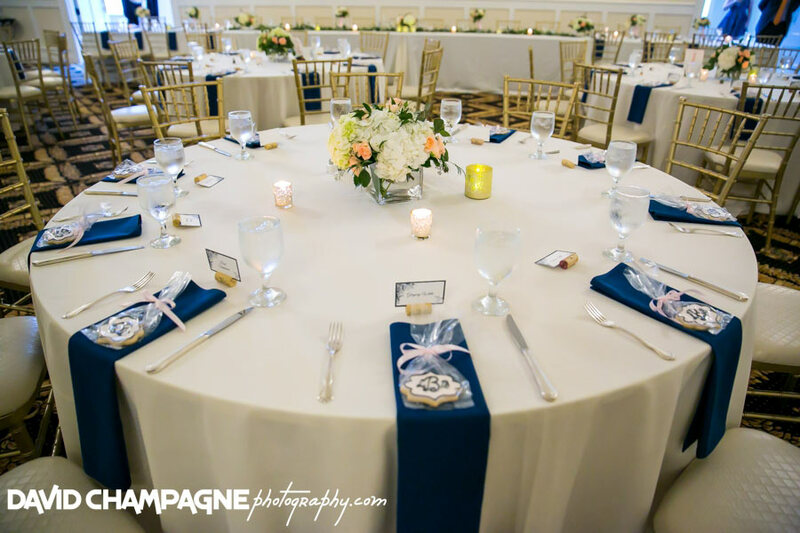 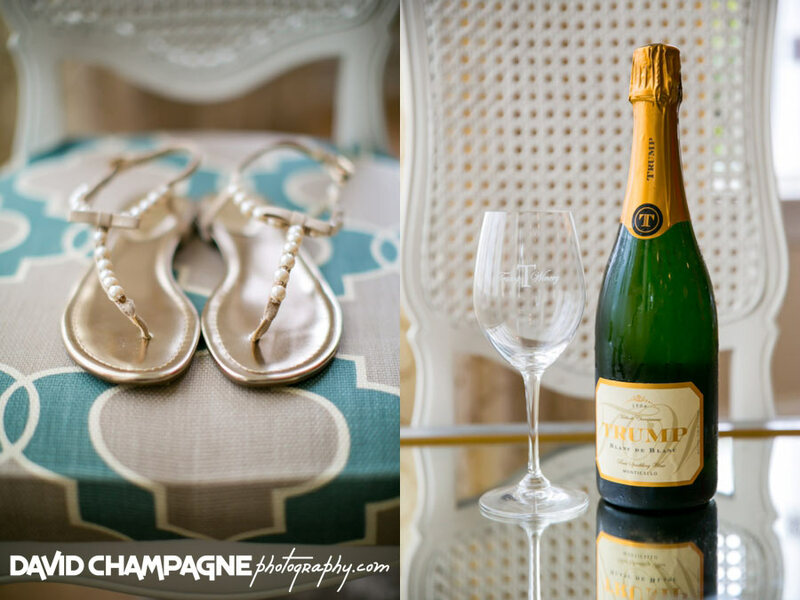 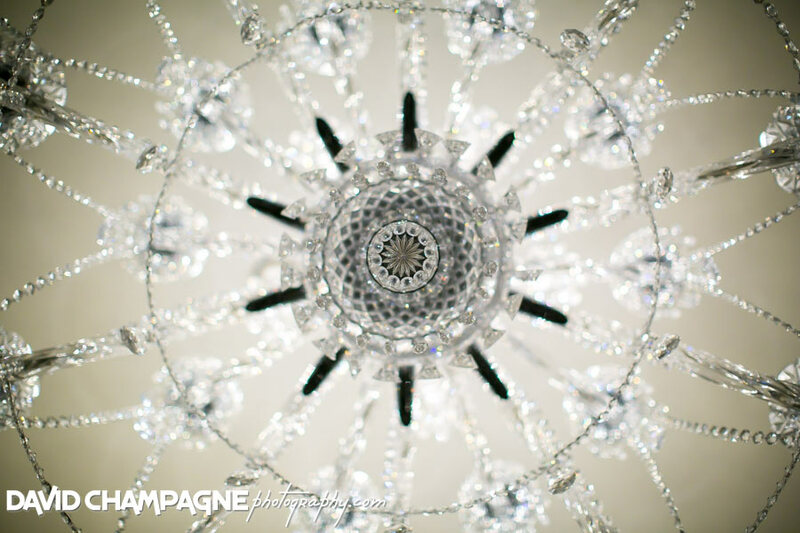 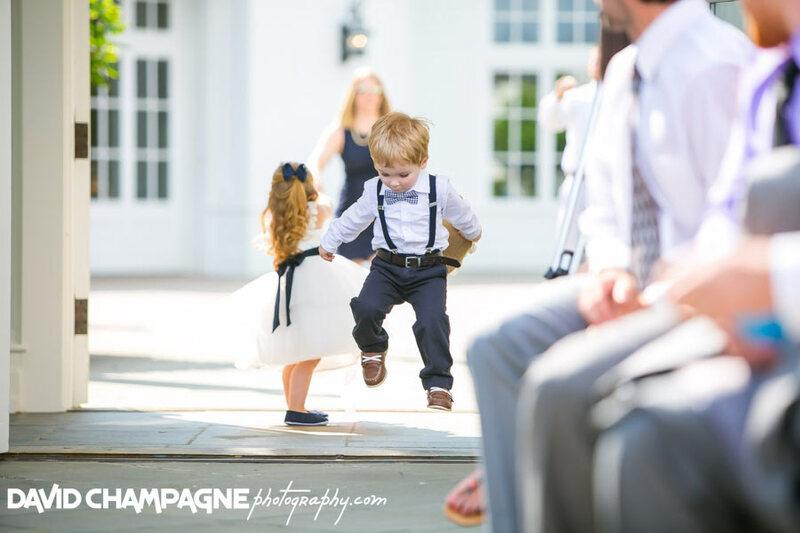 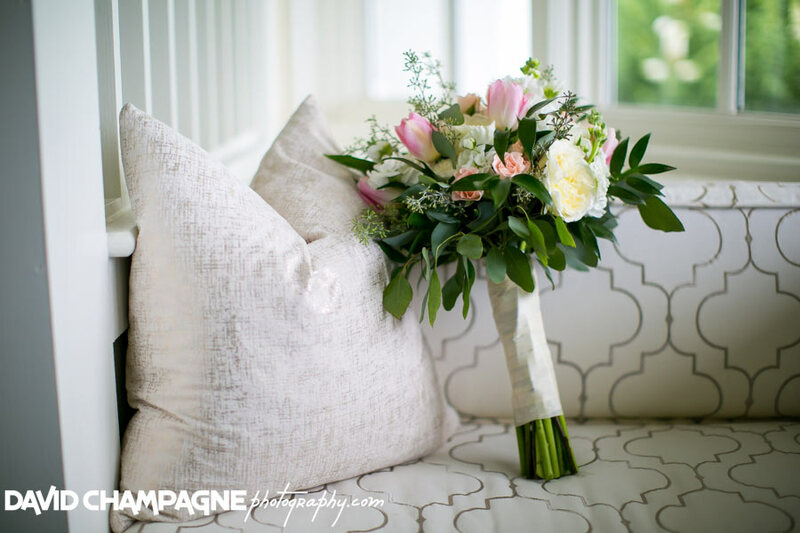 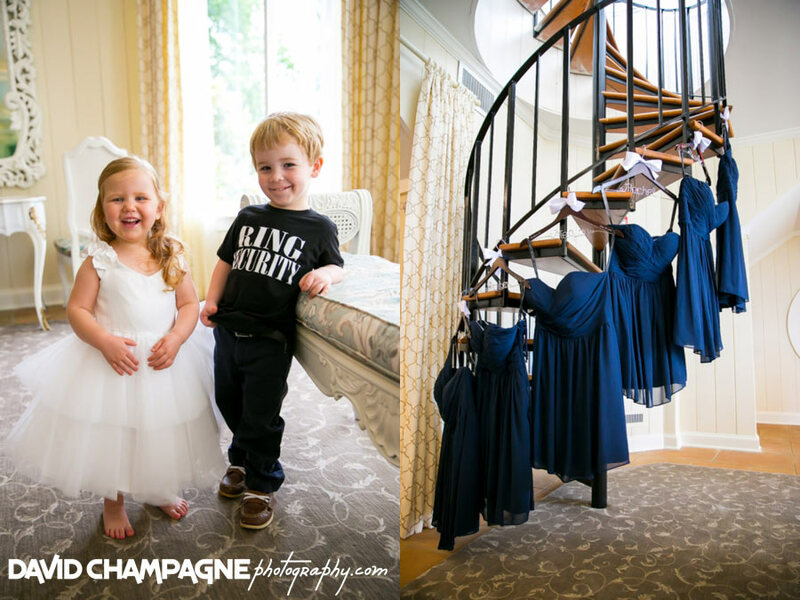 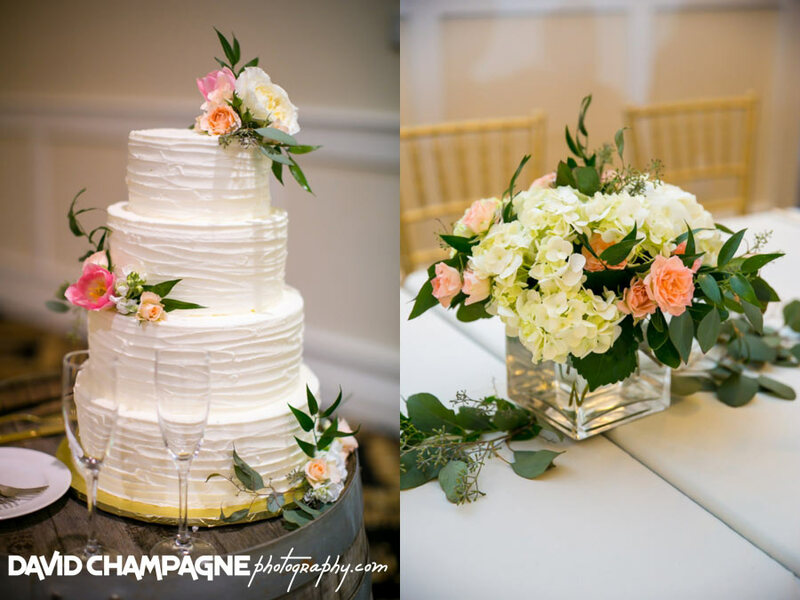 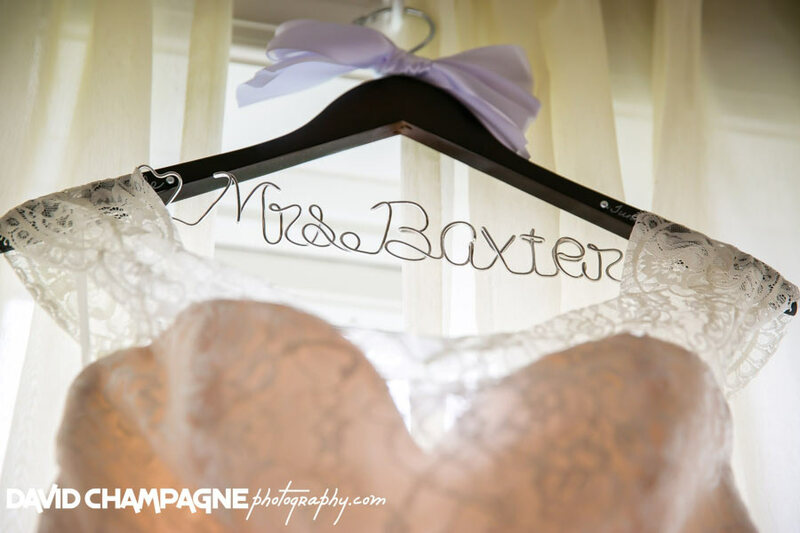 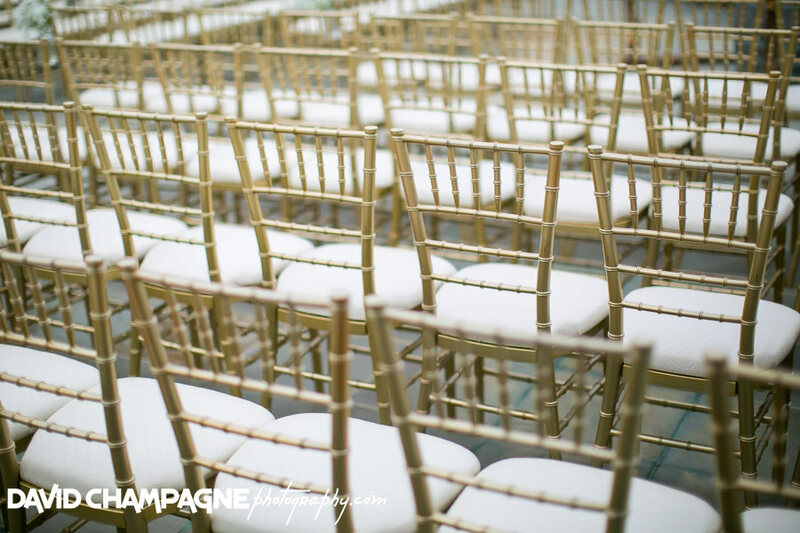 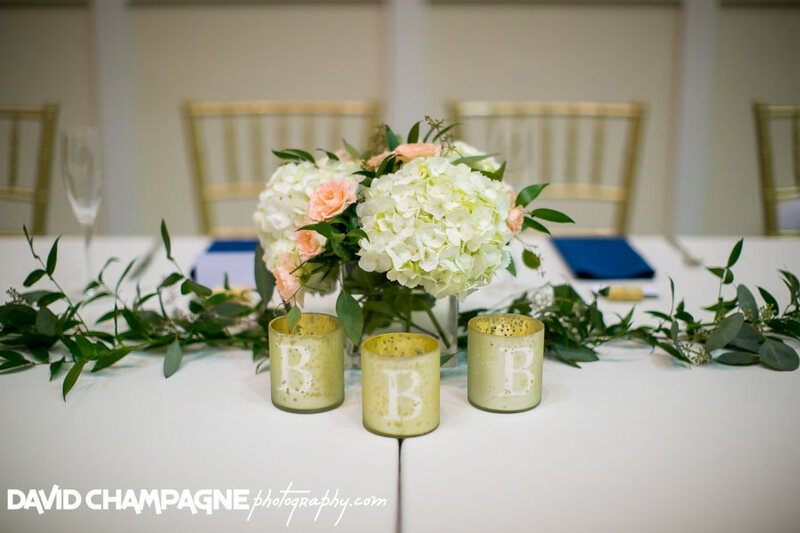 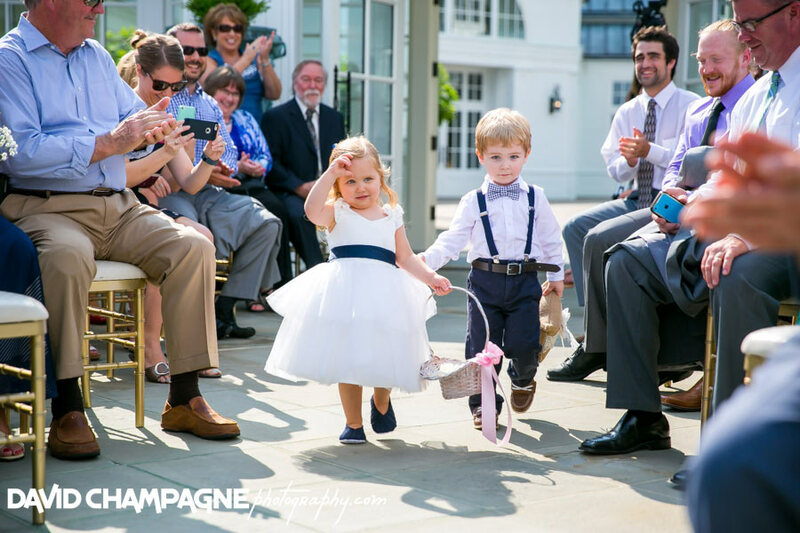 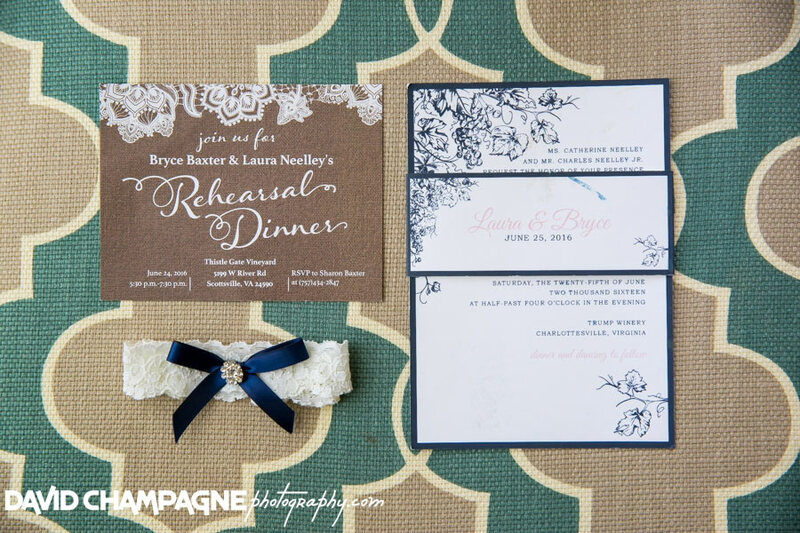 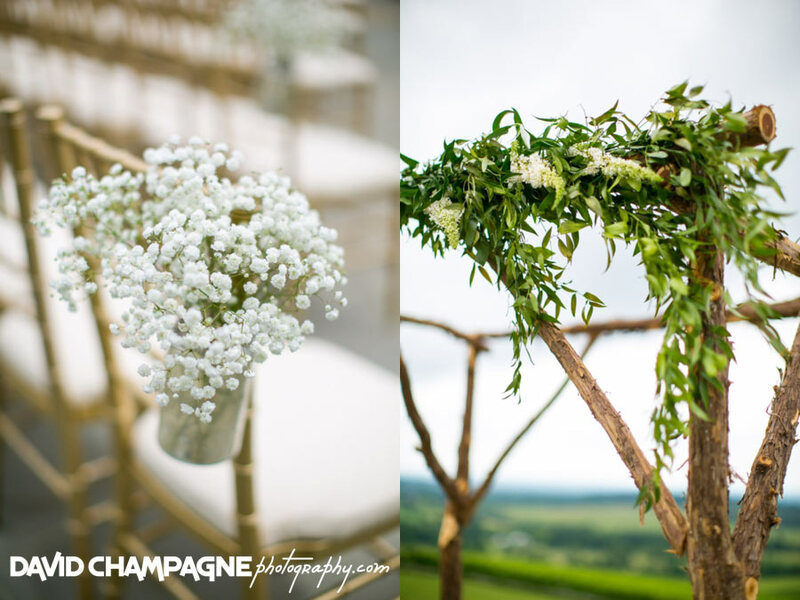 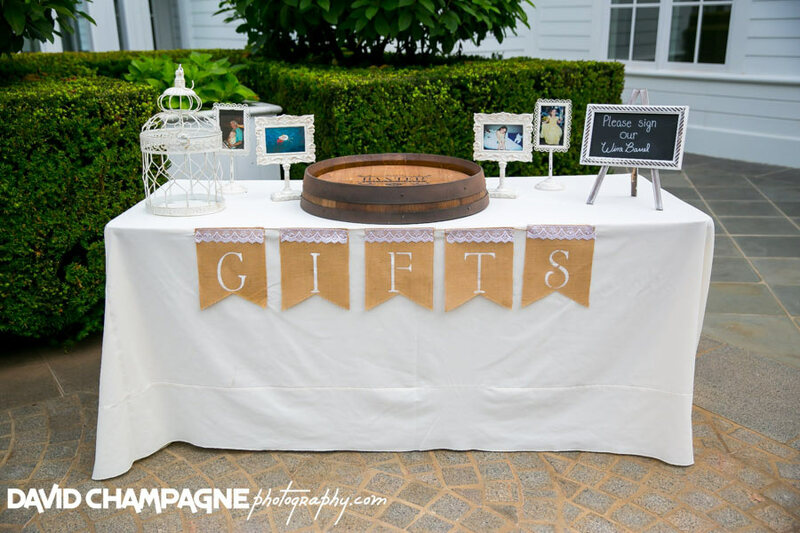 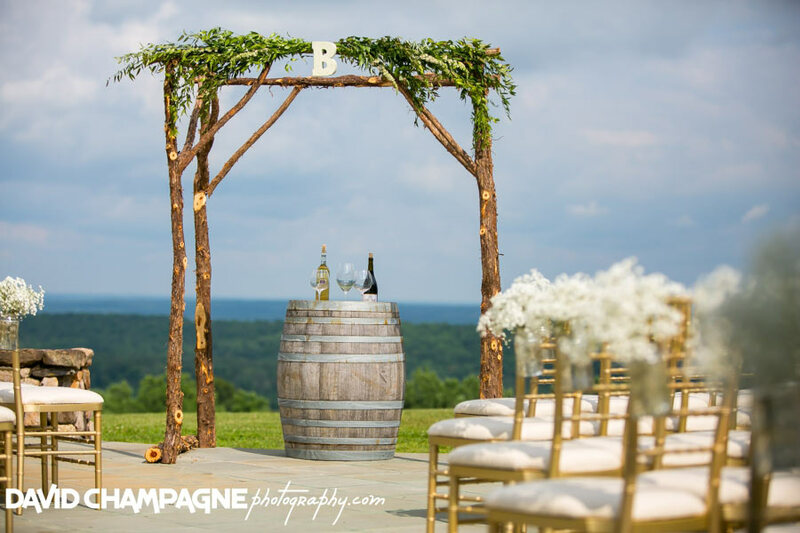 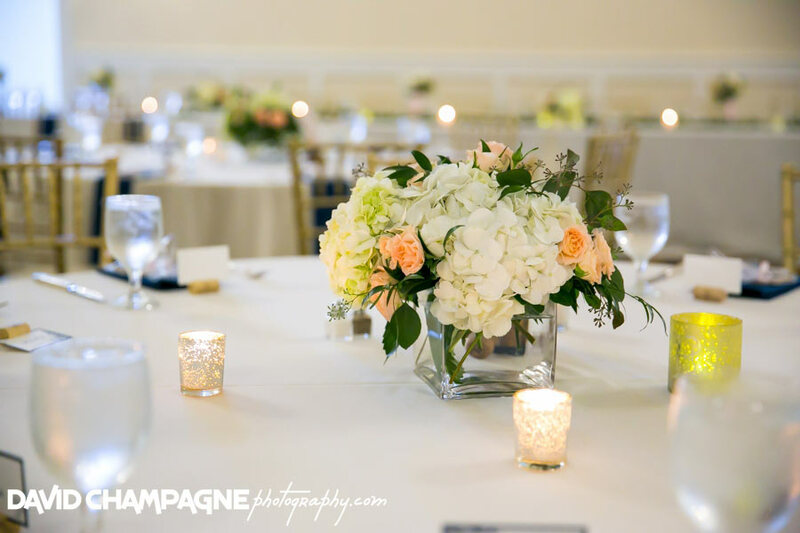 First of all, Laura and Bryce had so many lovely details at their Trump Winery wedding. 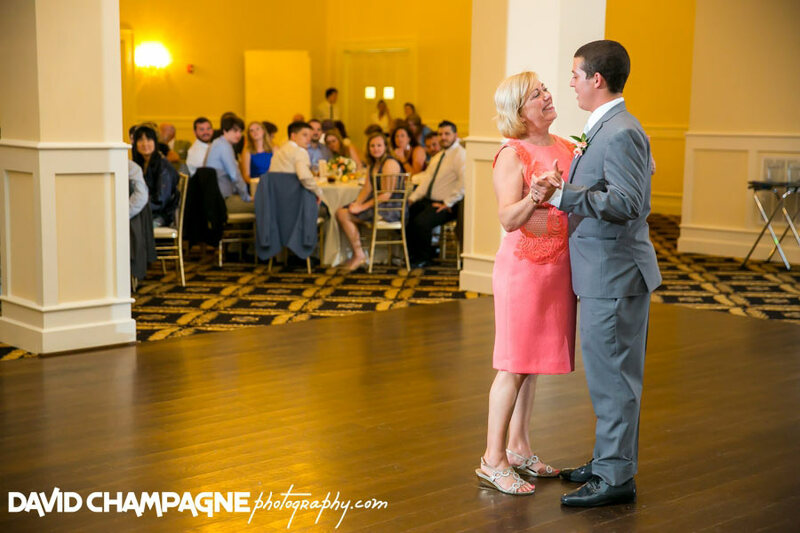 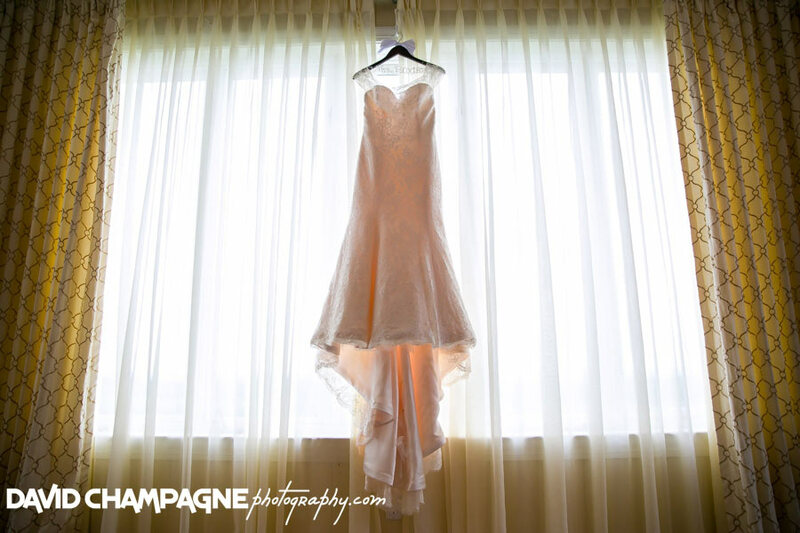 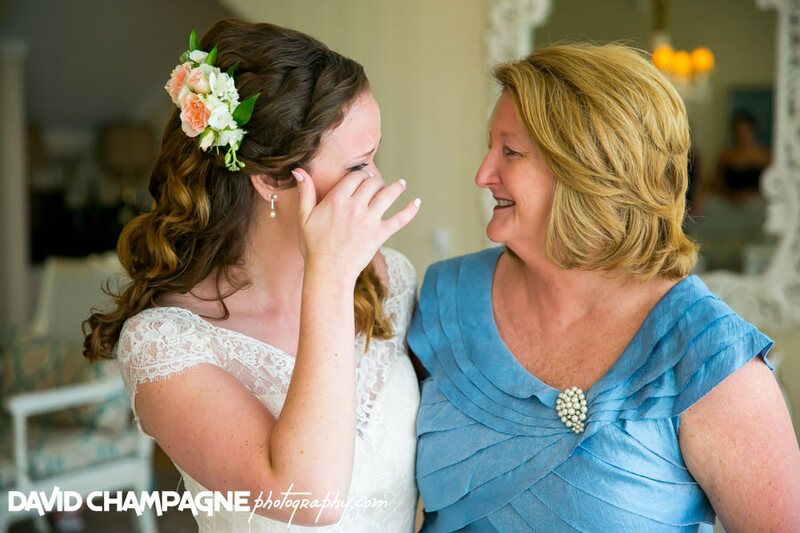 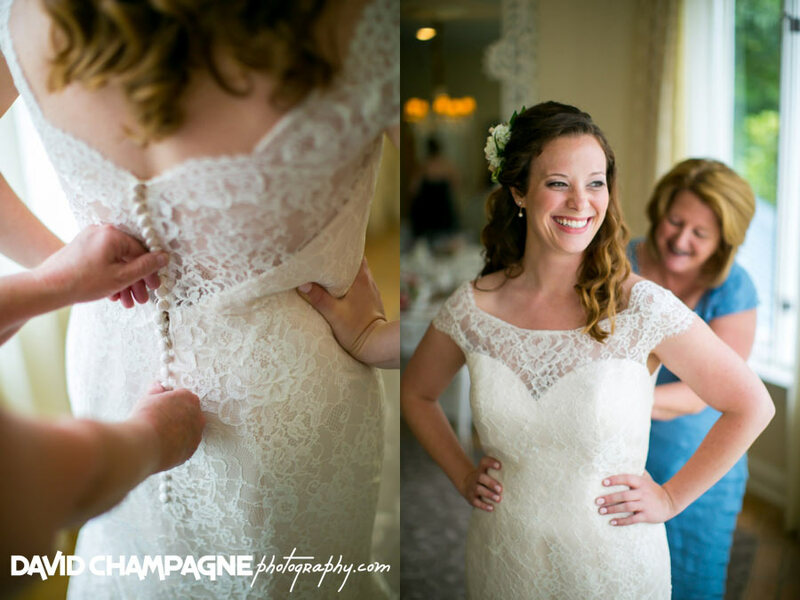 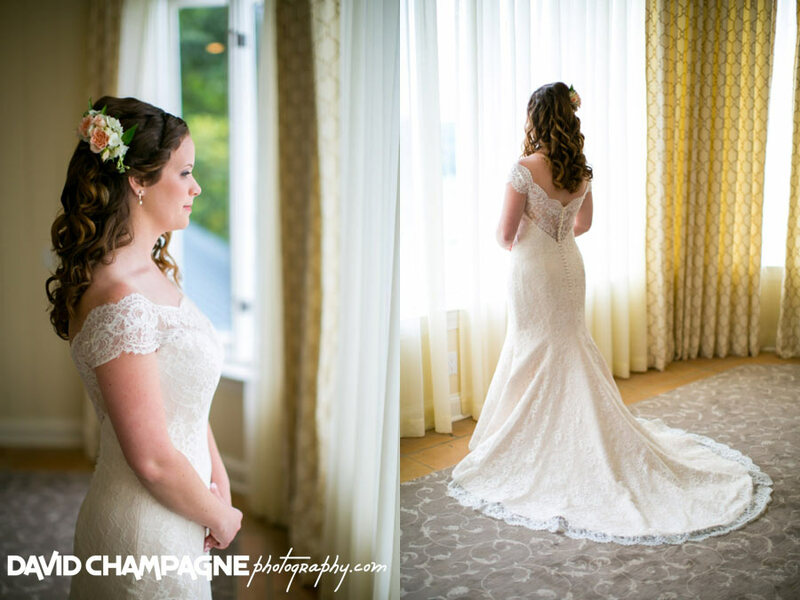 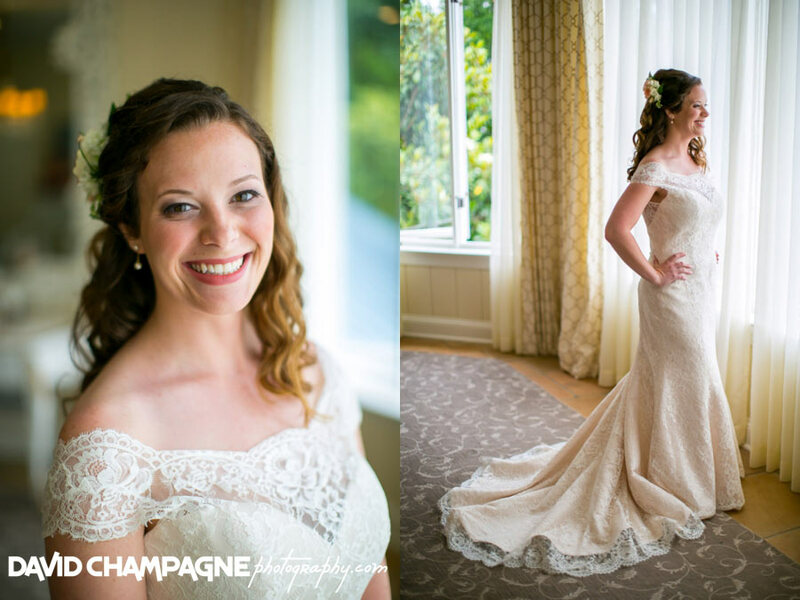 Laura’s wedding dress was a blush tone with a beautiful lace top and back. 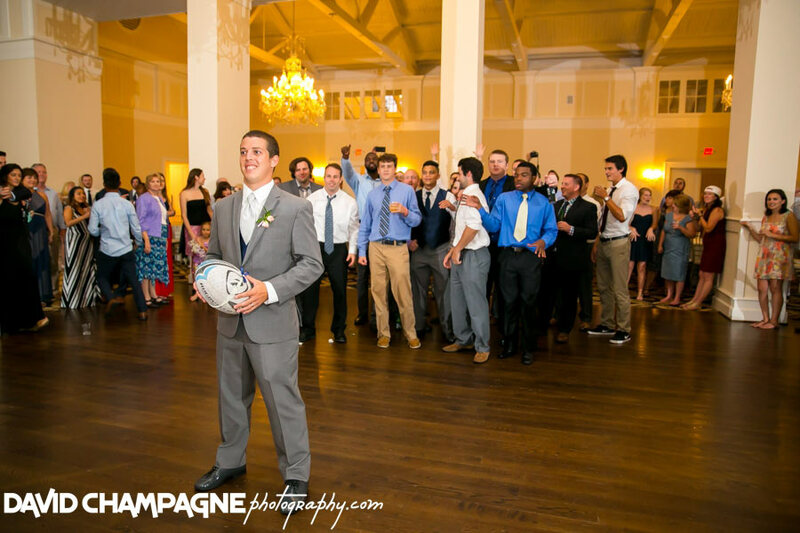 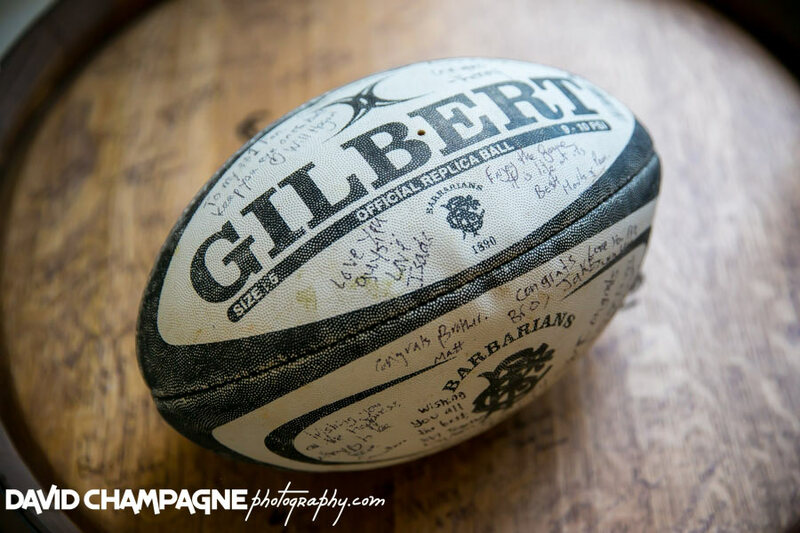 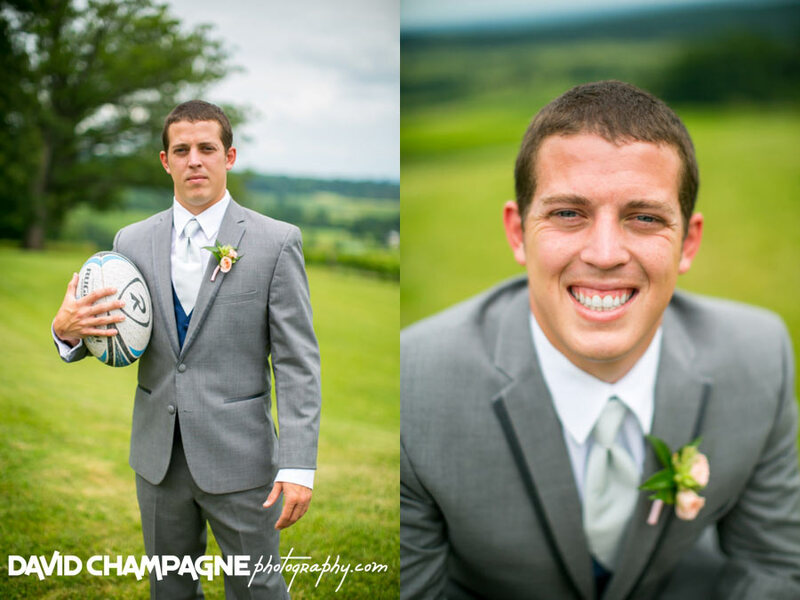 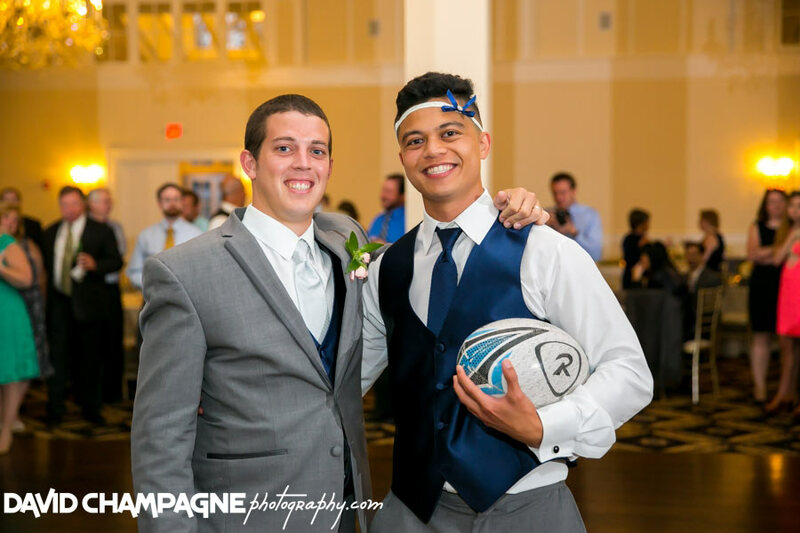 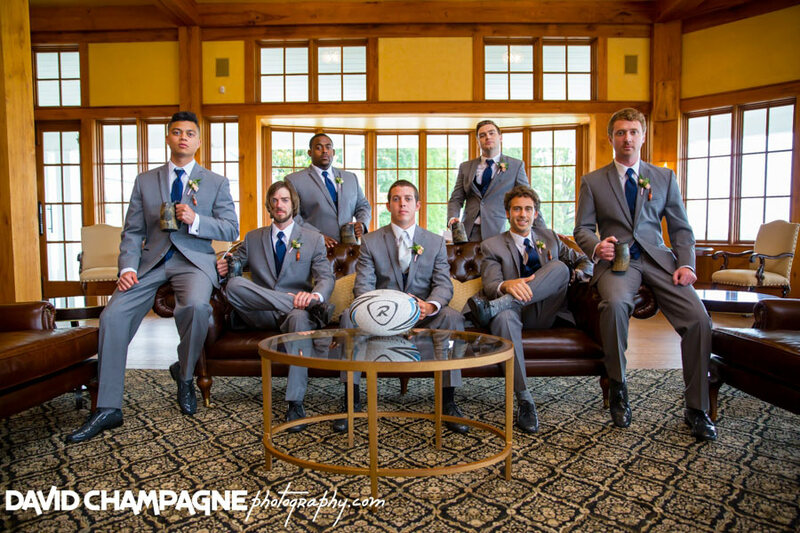 Bryce is a rugby player, so we also took lots of photos with the rugby ball. 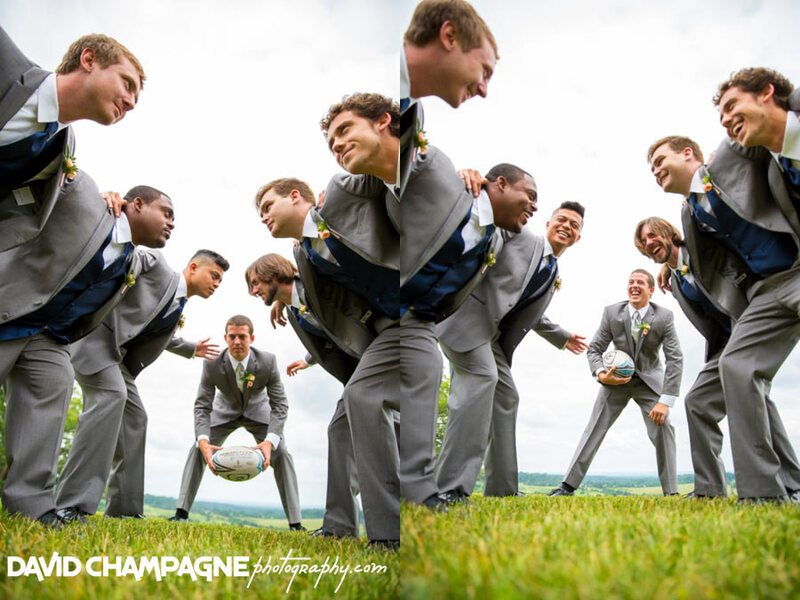 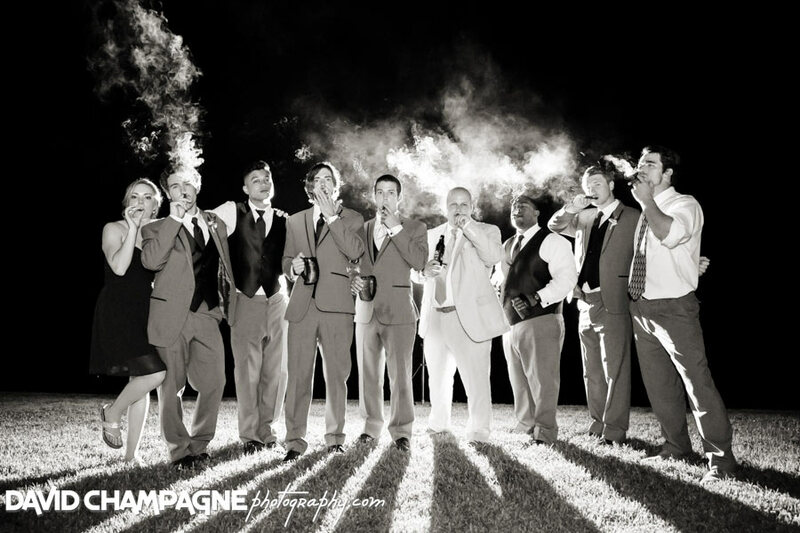 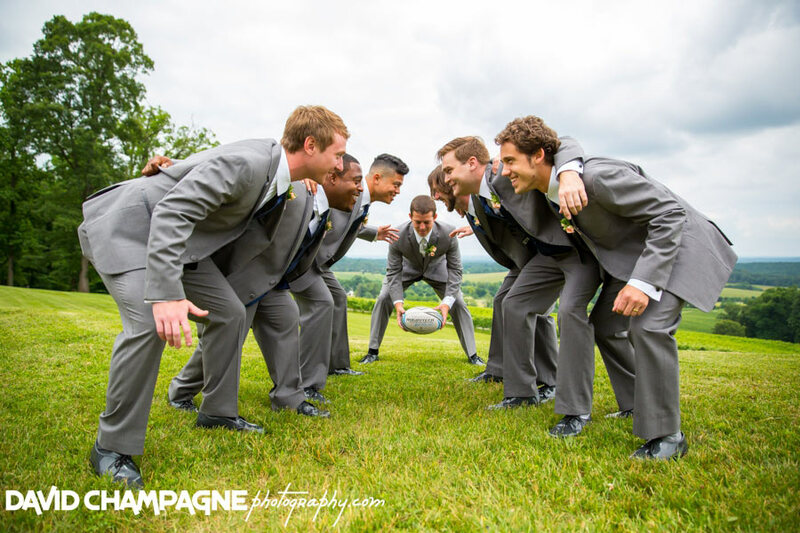 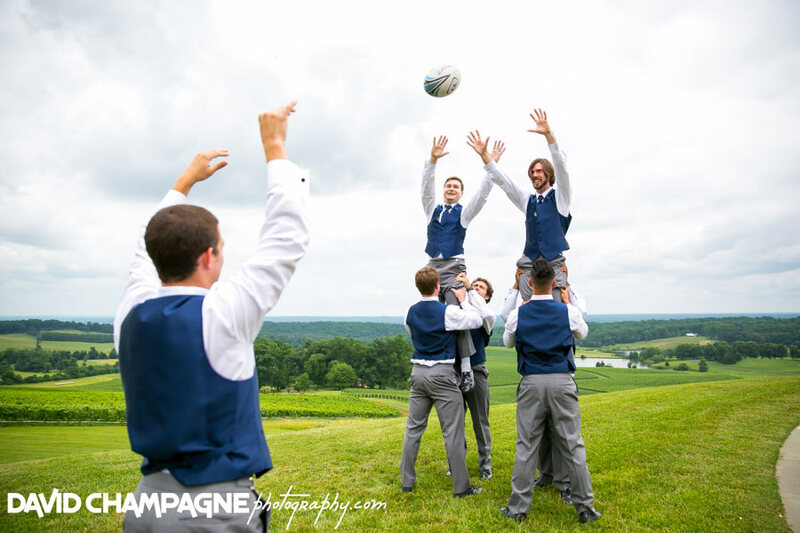 The bridesmaids and groomsmen also had fun scrummaging. 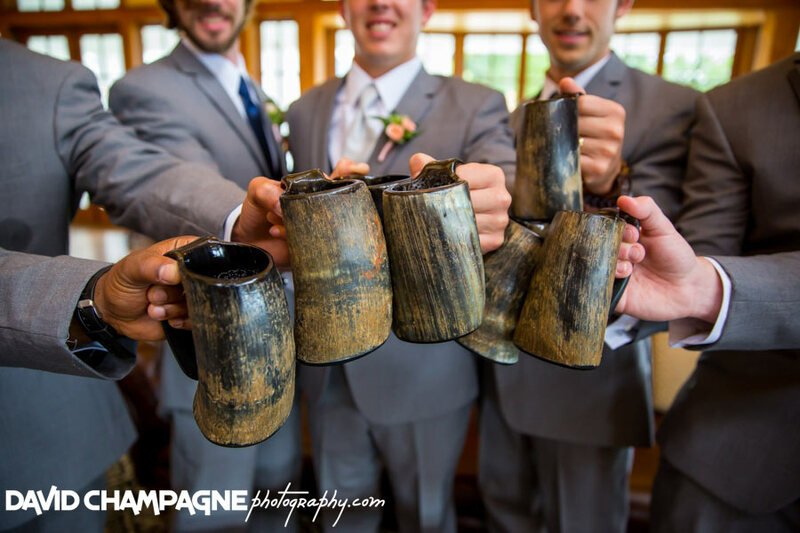 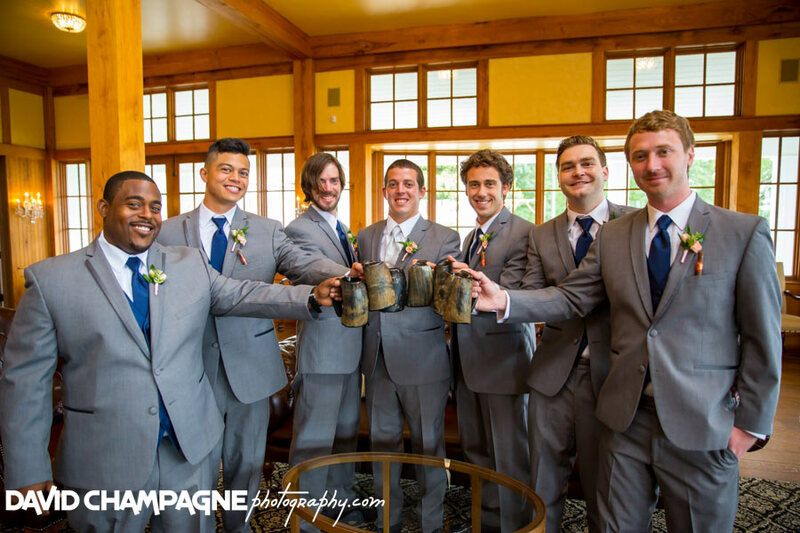 Furthermore, Bryce gave his groomsmen mugs made from bull horns as groomsmen gifts. 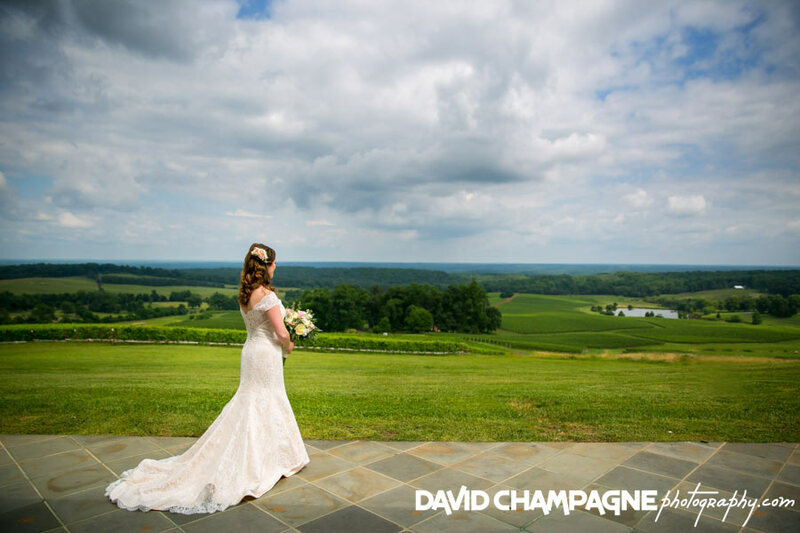 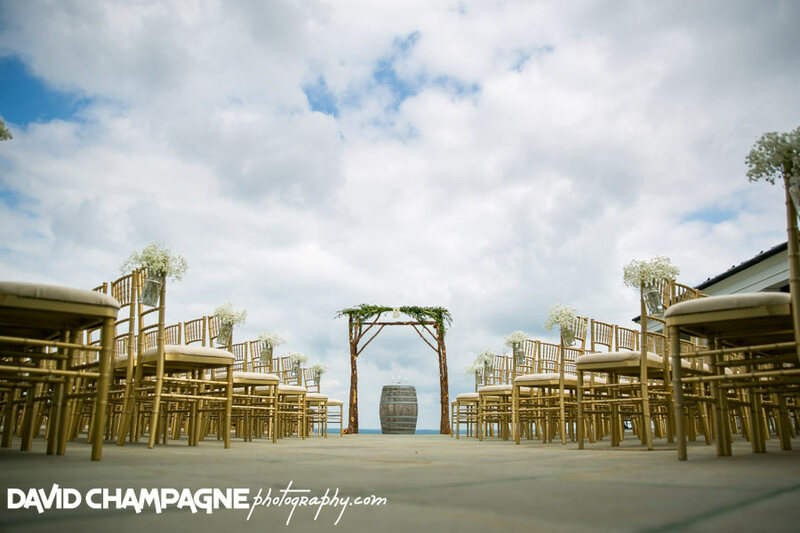 The bride and groom said, “I do,” overlooking the entire Trump Winery Vineyard under a rustic wooden arbor. 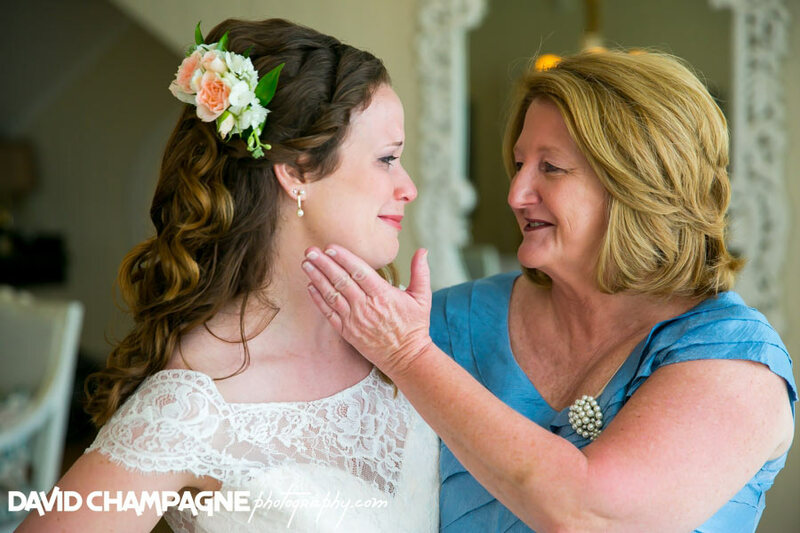 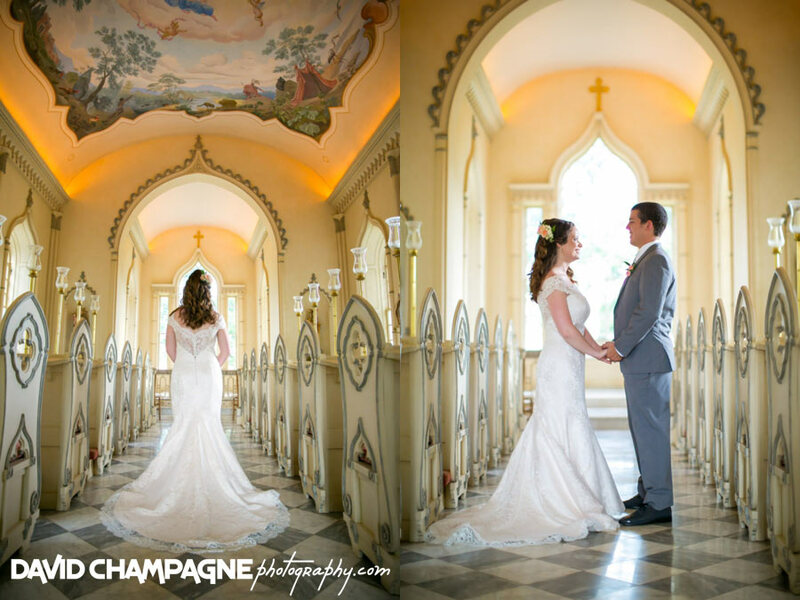 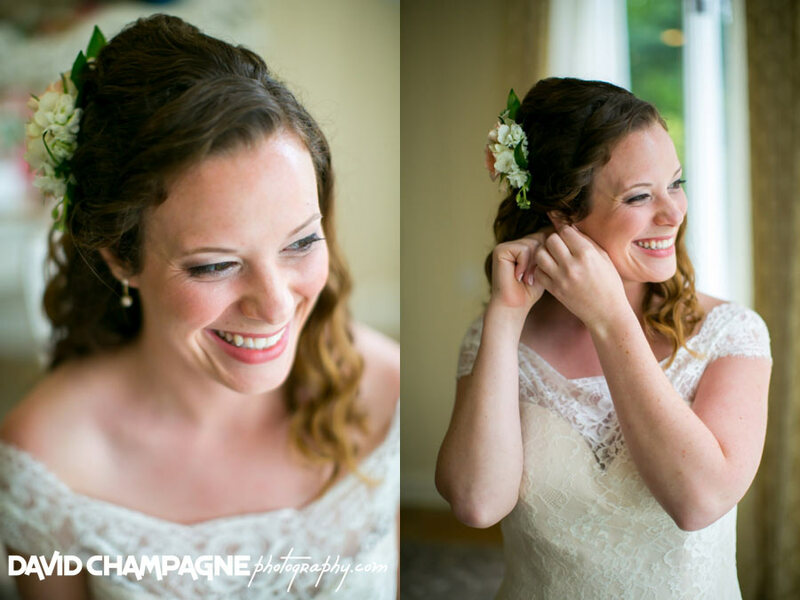 After the wedding ceremony, we also took bridal portraits in an chapel on grounds at Trump Winery. 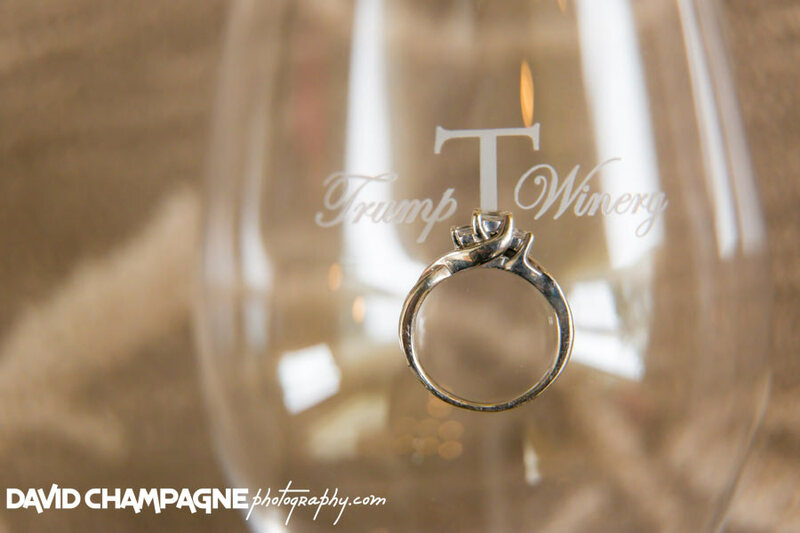 We also took stunning photos in the Trump Winery vineyard. 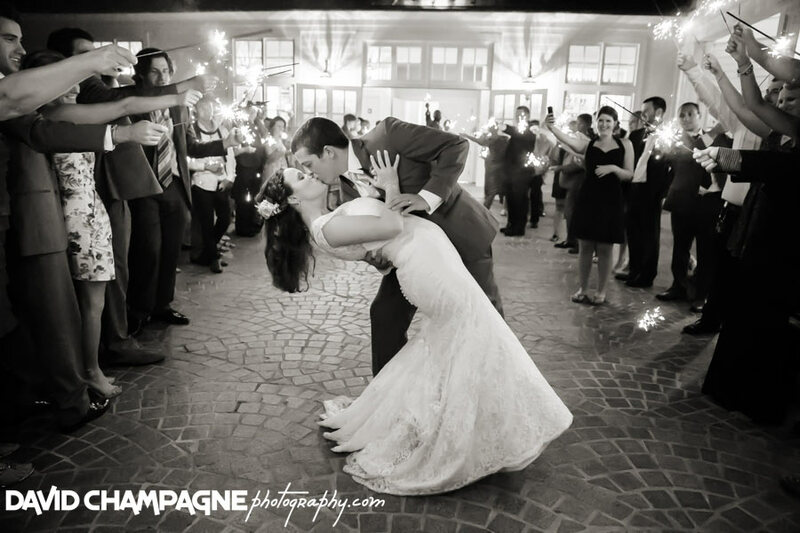 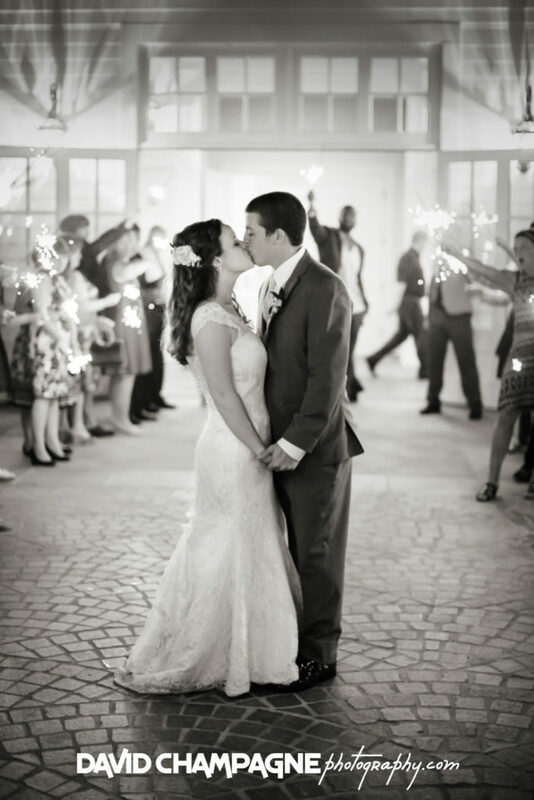 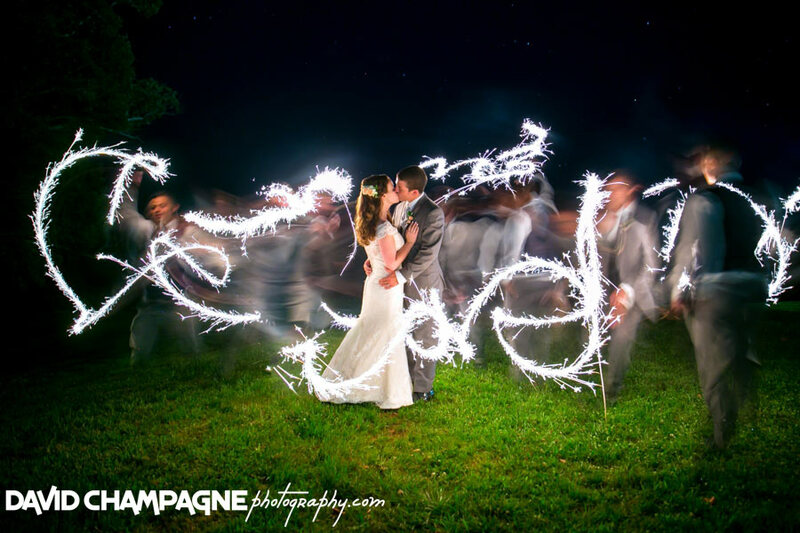 Lastly, the bride and groom ended the evening with creative sparkler photos and a grand sparkler exit. 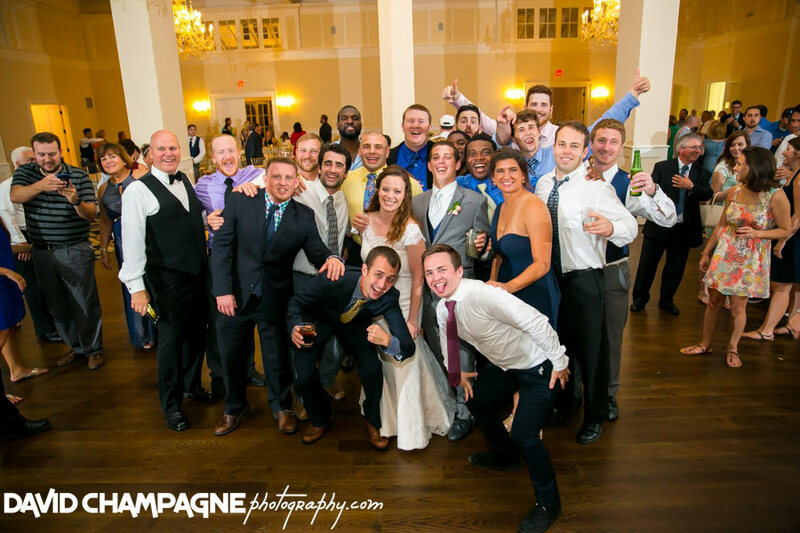 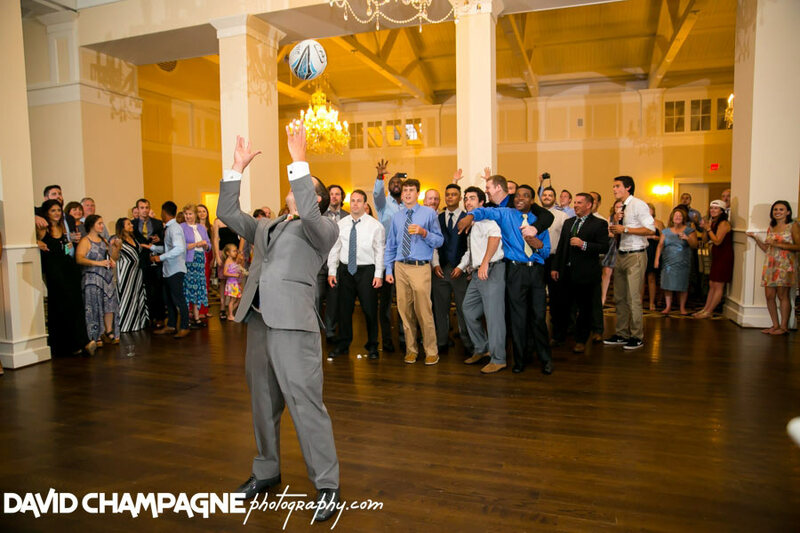 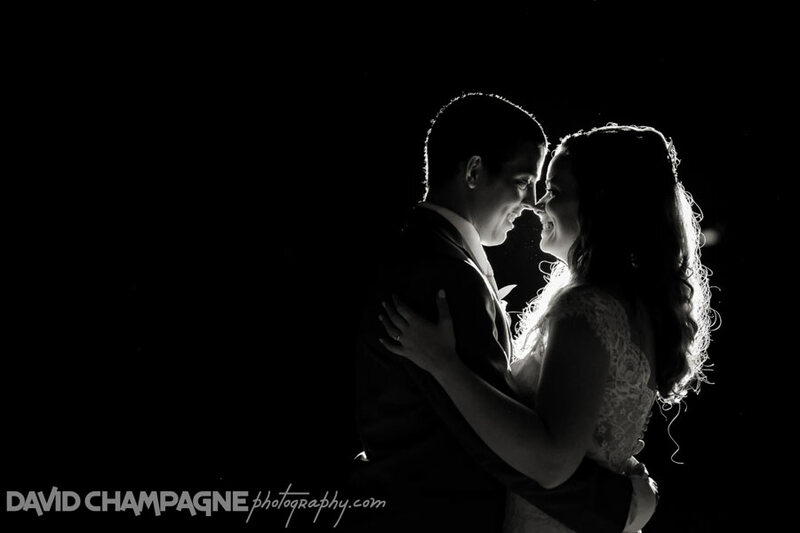 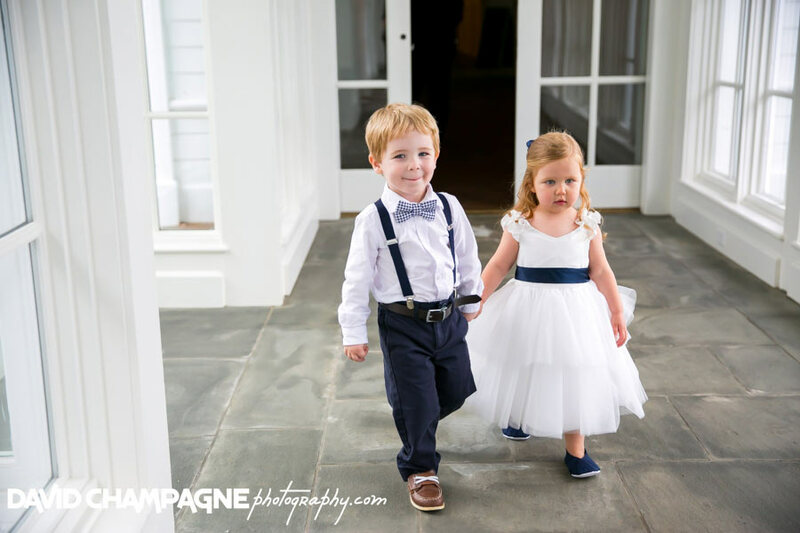 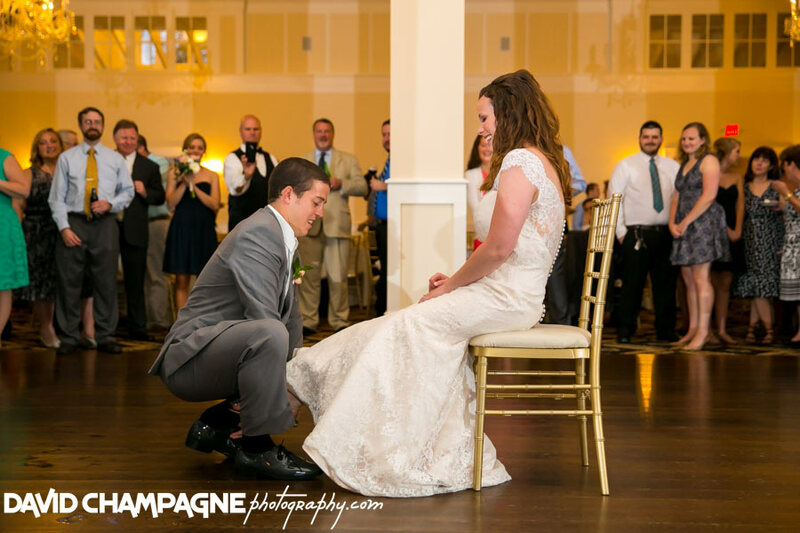 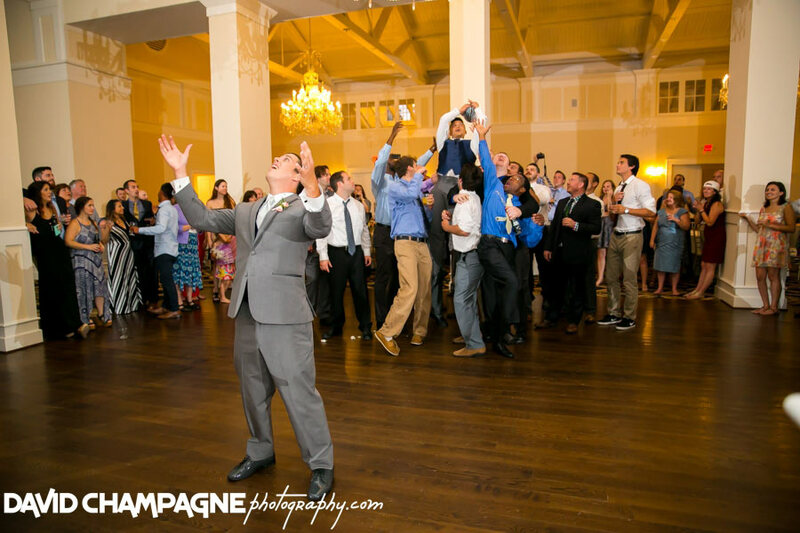 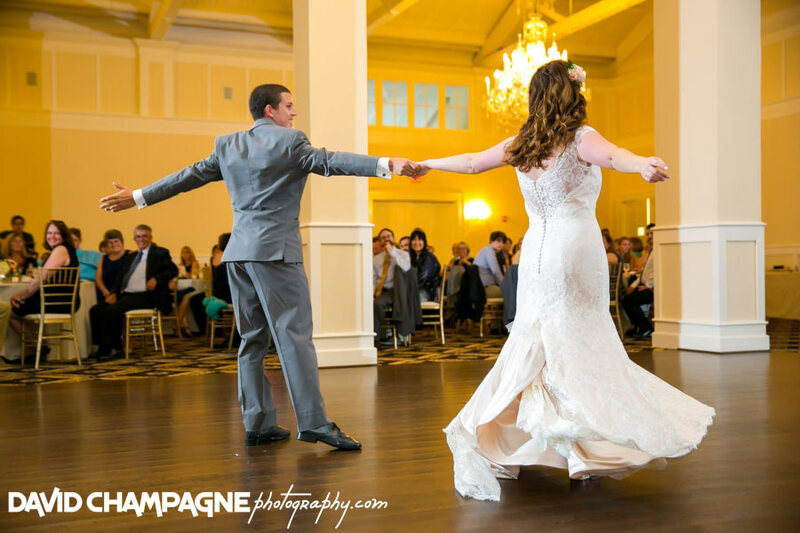 Check out Laura and Bryce’s wedding slideshow!